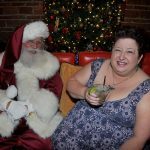 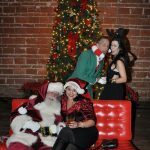 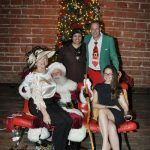 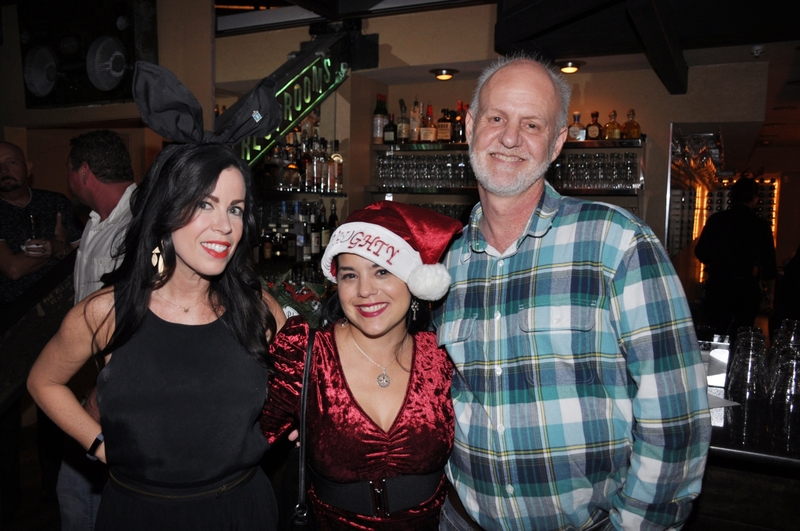 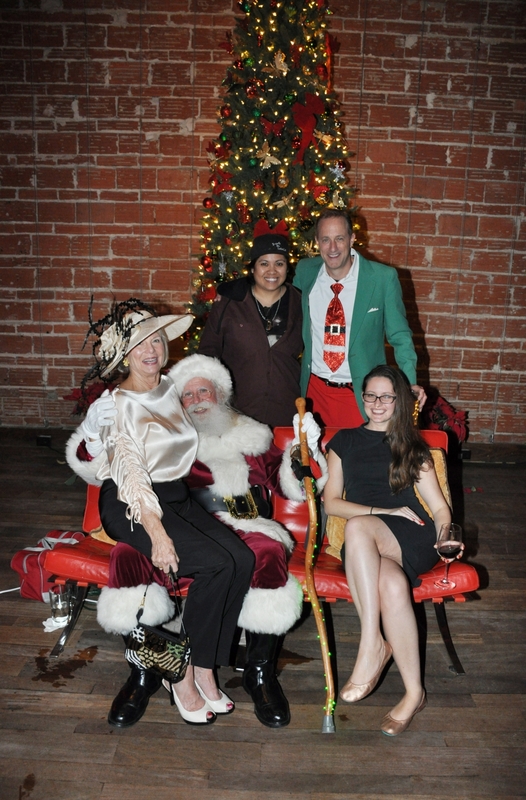 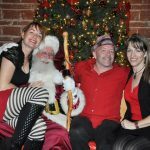 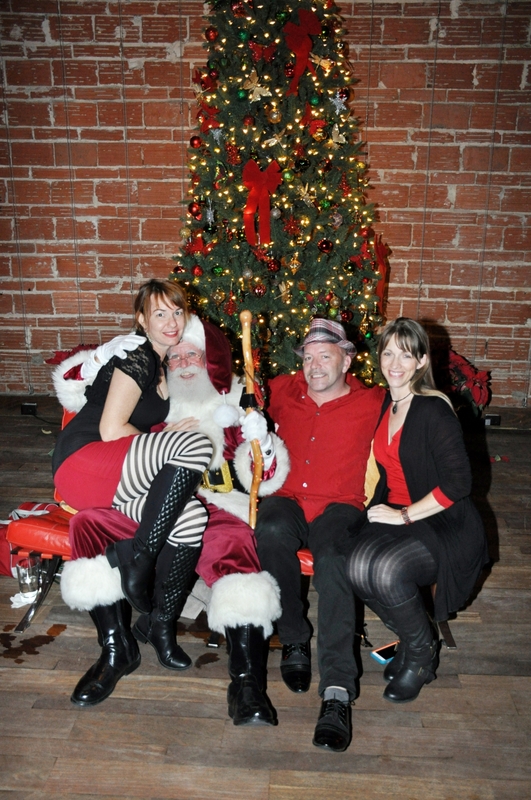 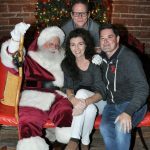 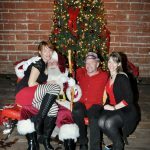 The lovely and talented photographer Ann Coffman and St. Pete Santa (Ross Tarr) enjoy a moment, while Belle_ah and Mayven dazzle us for the final time in 2017! 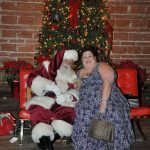 Santa is Real! 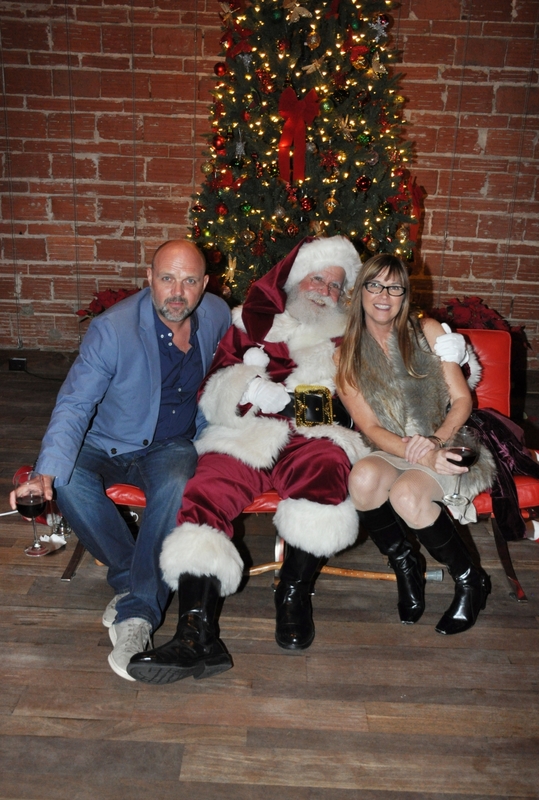 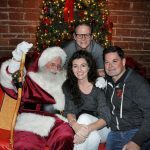 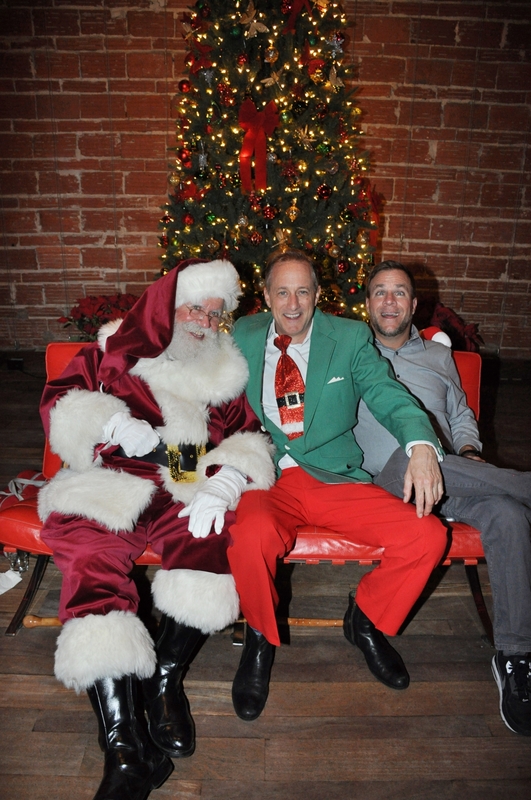 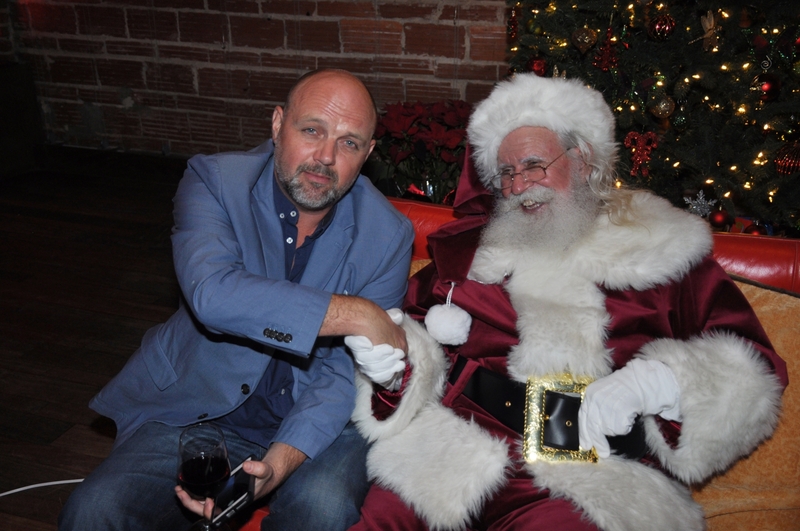 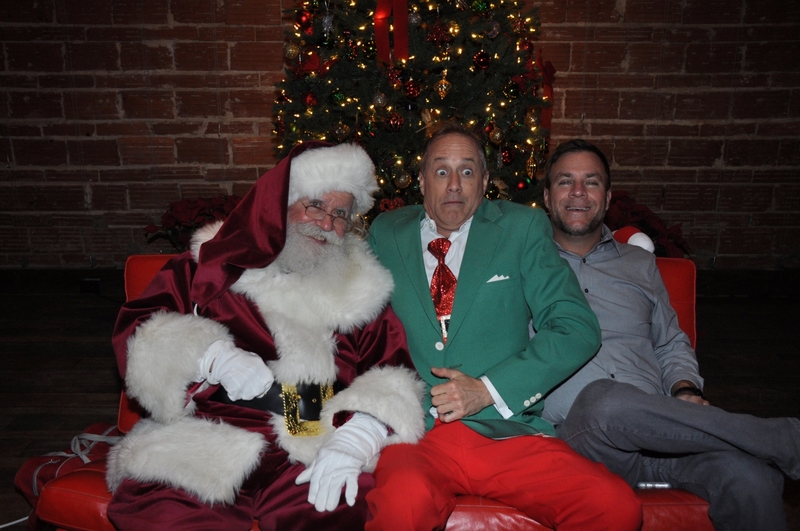 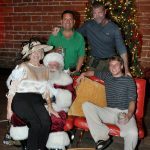 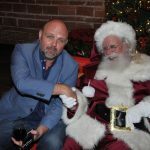 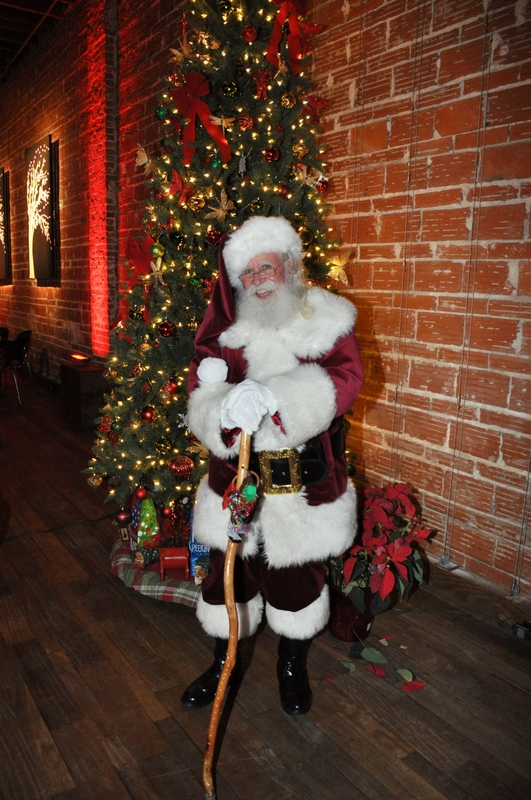 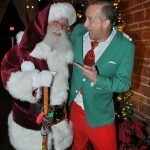 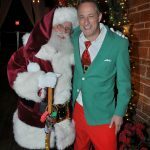 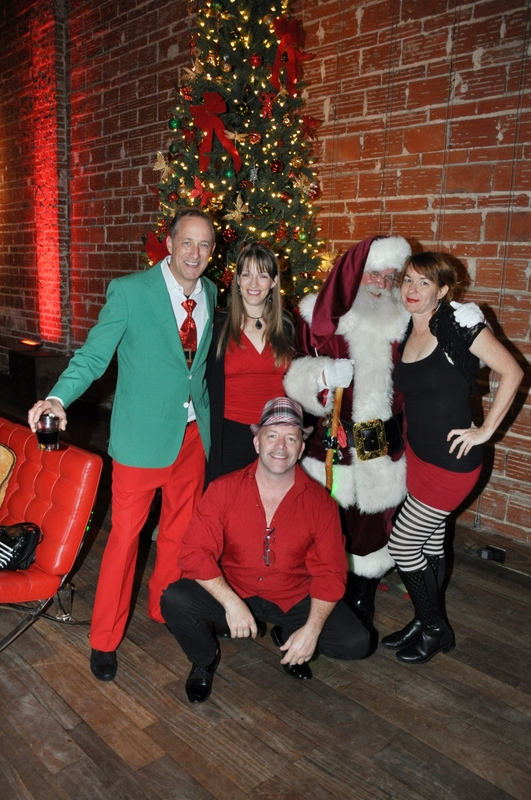 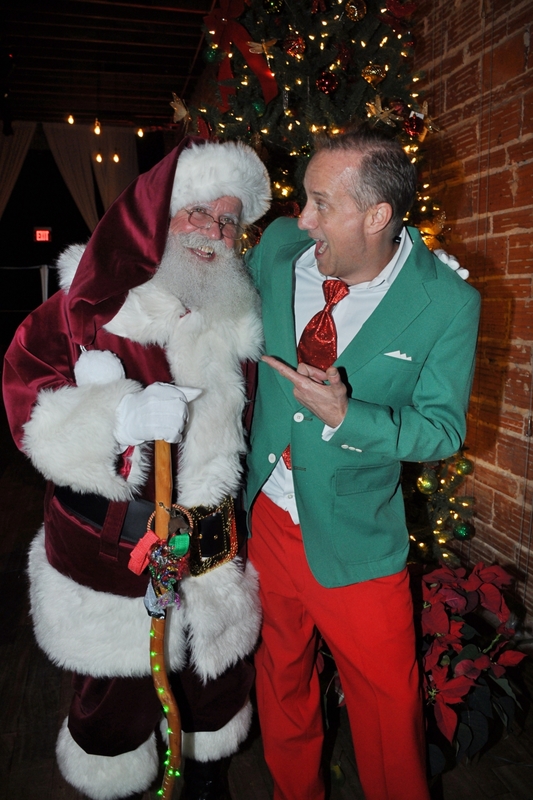 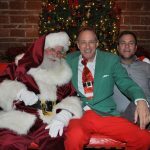 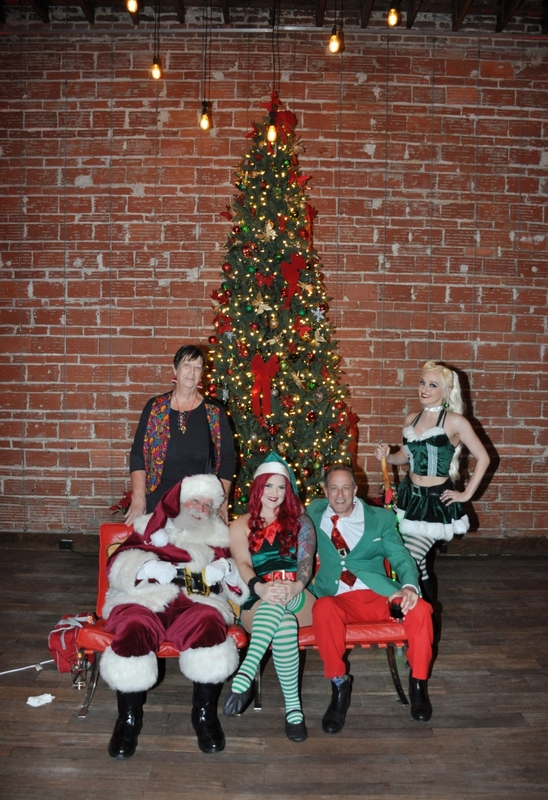 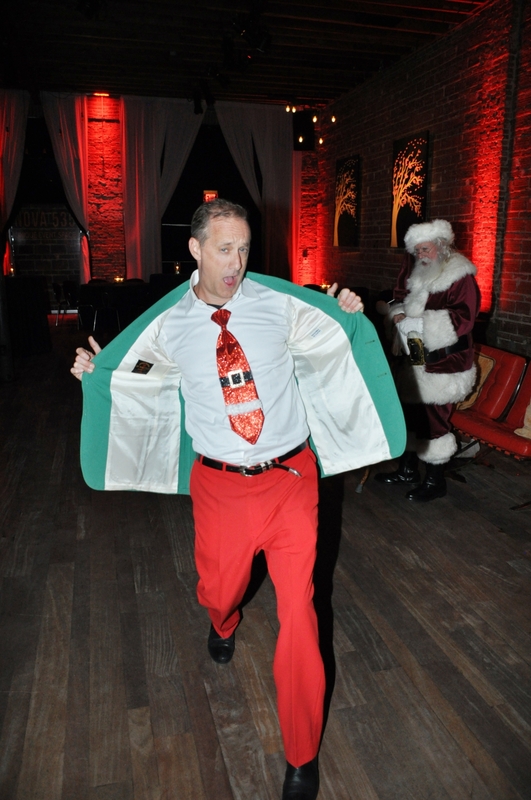 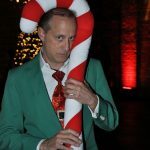 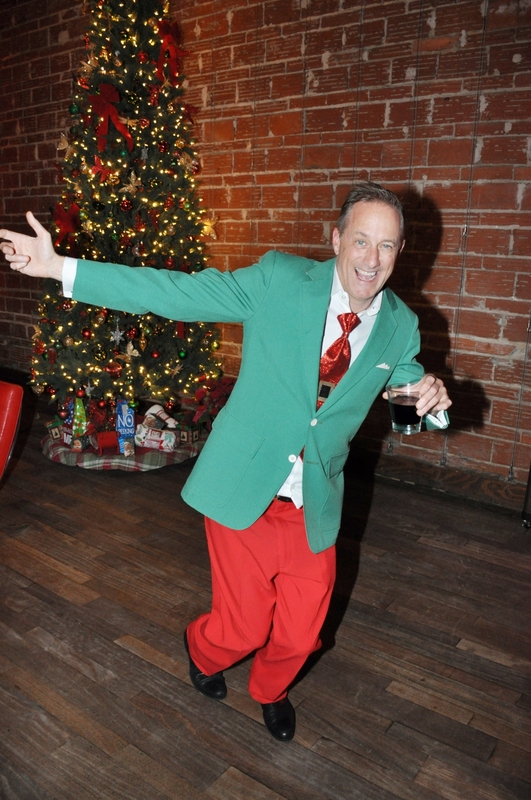 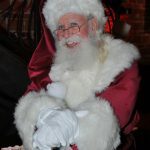 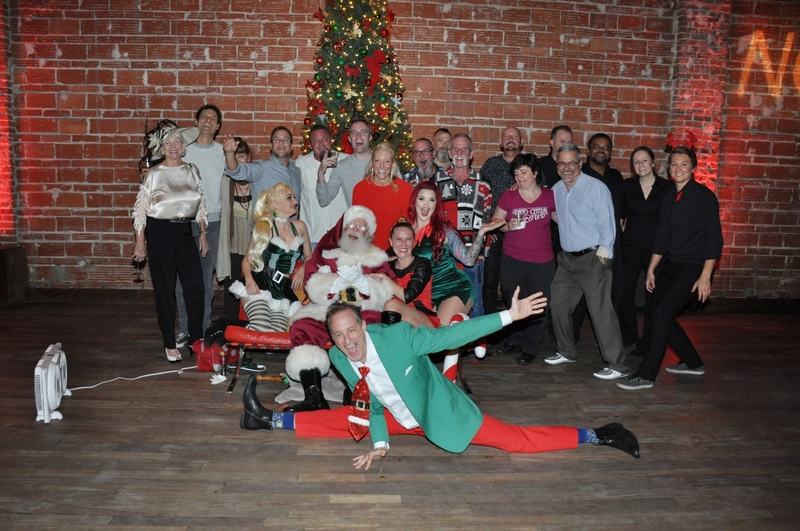 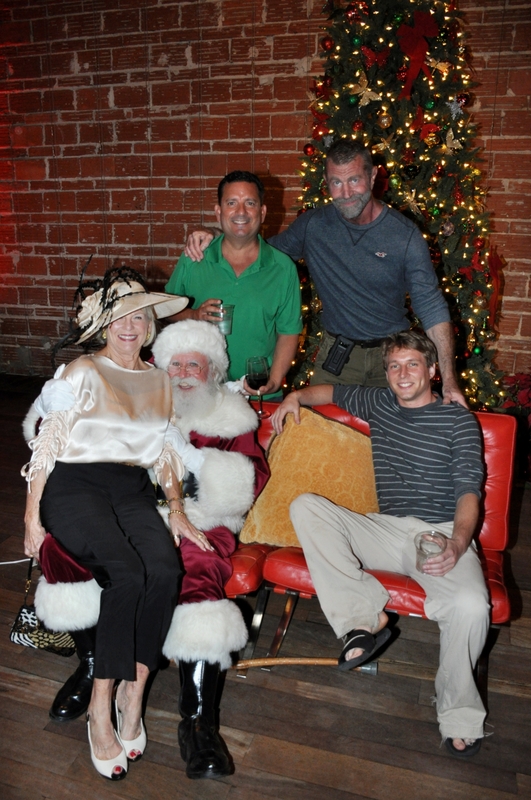 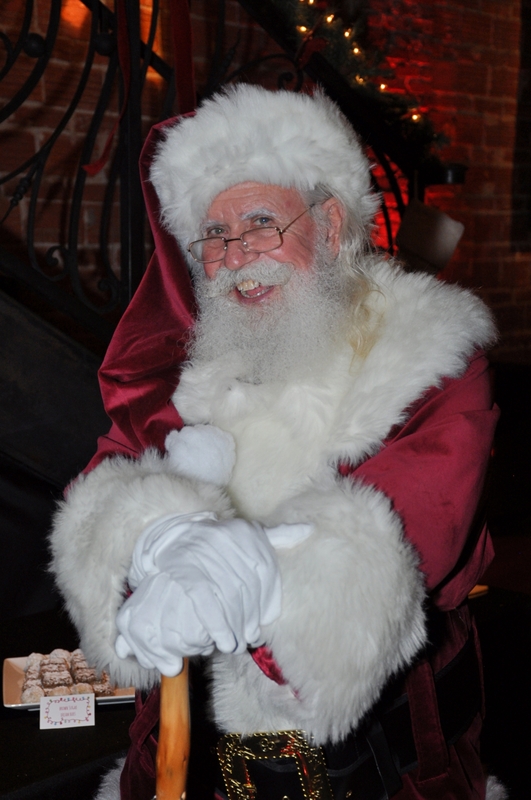 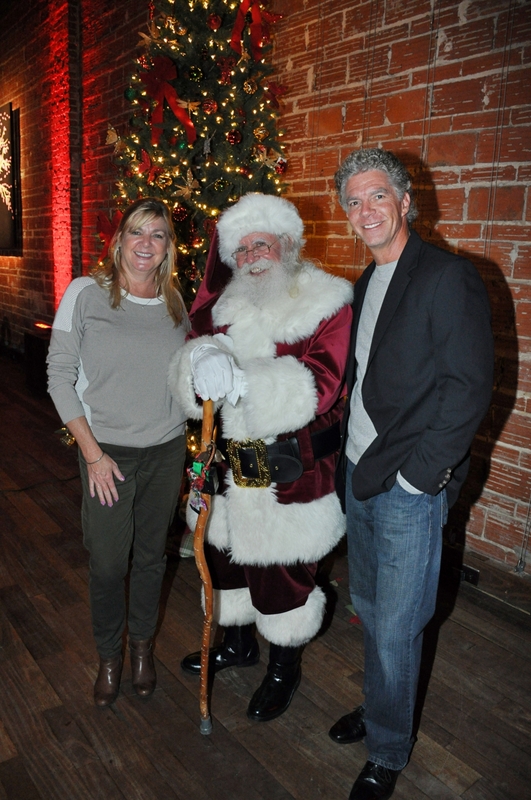 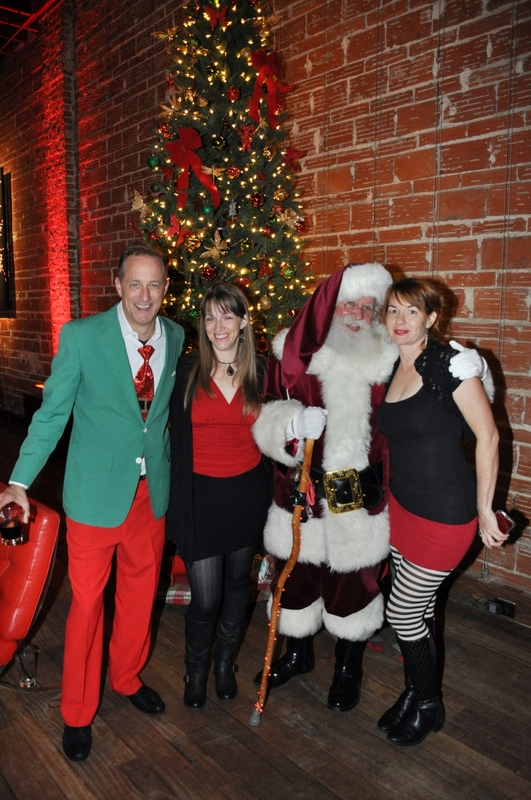 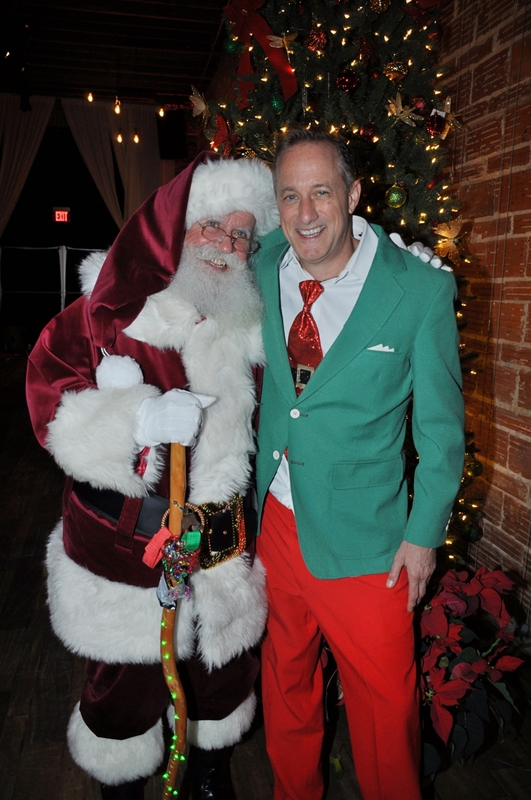 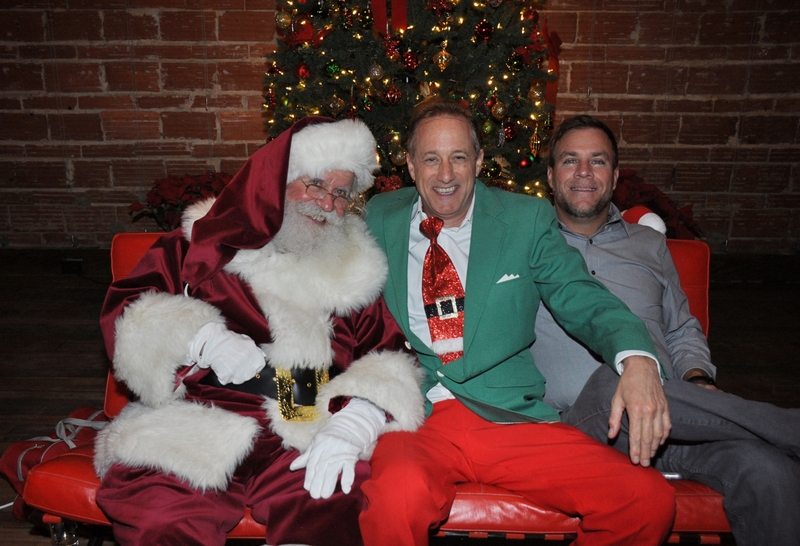 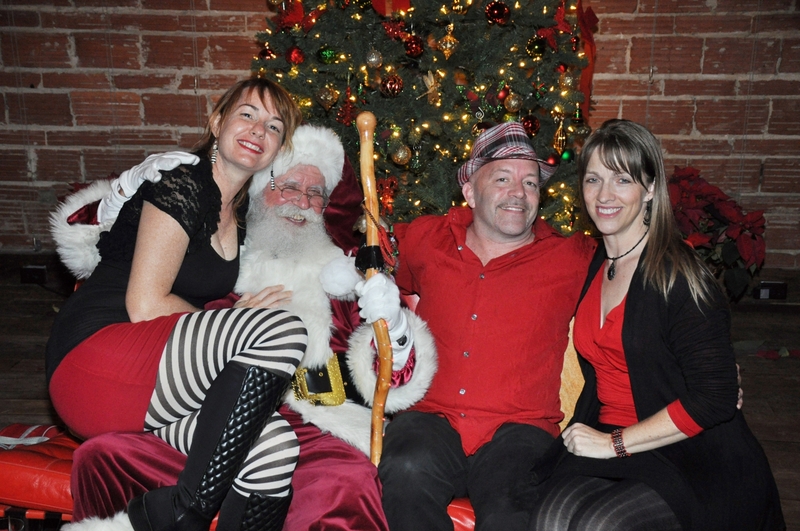 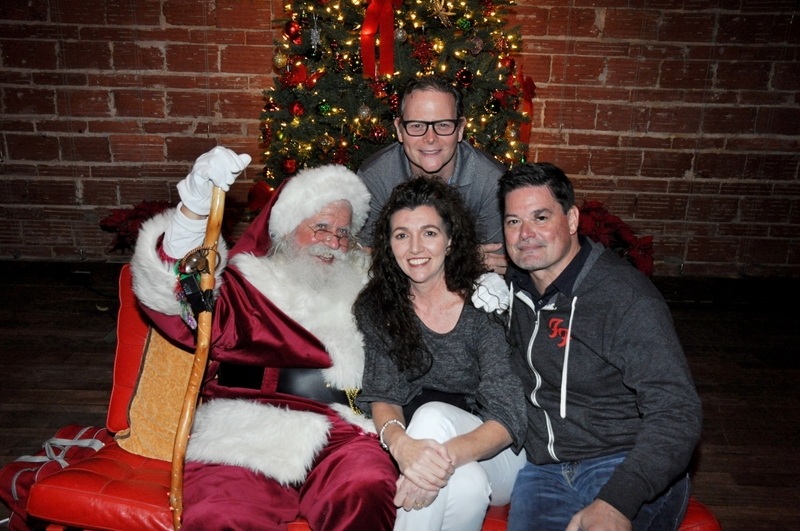 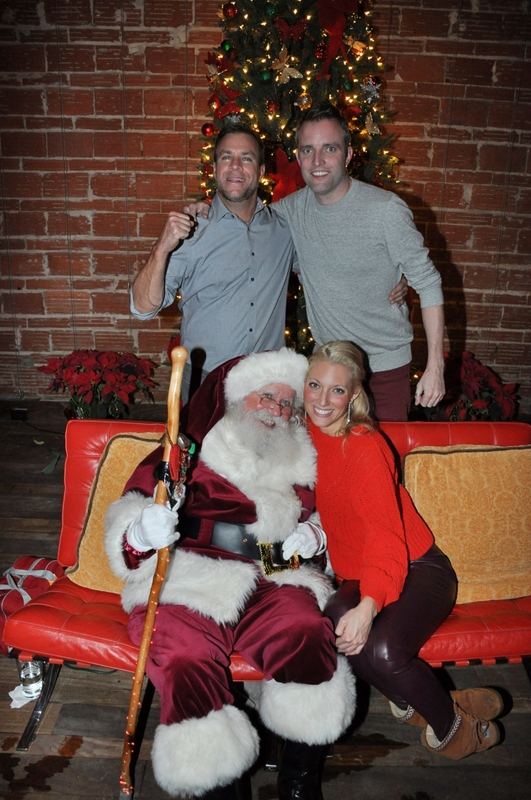 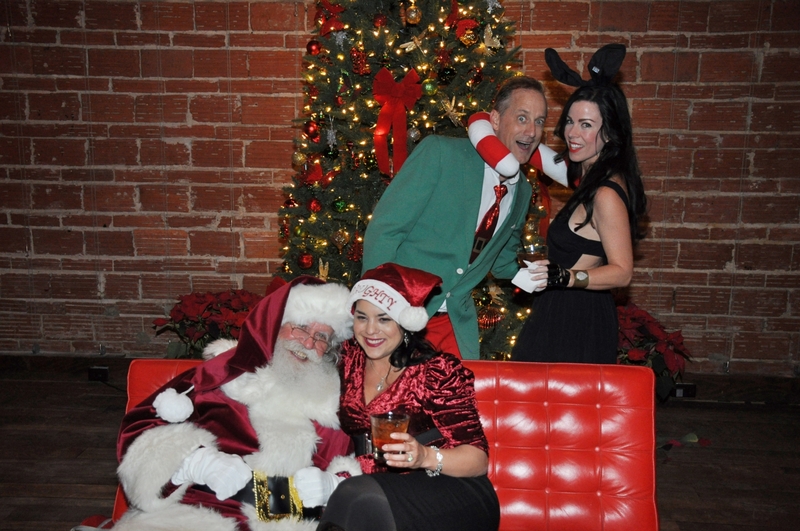 St. Pete Santa, played by Ross Tarr, is fantastic! 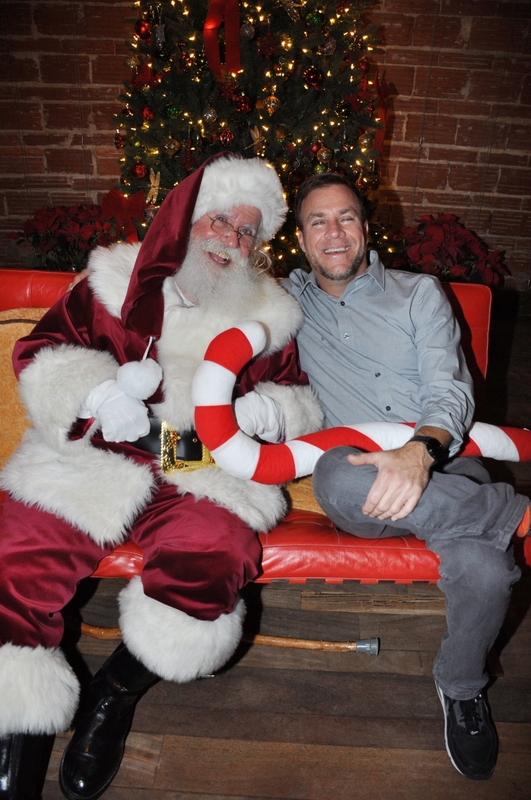 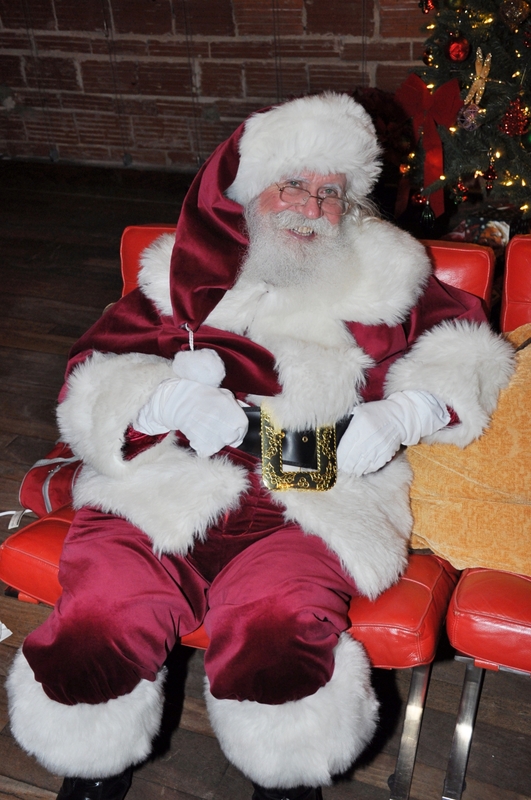 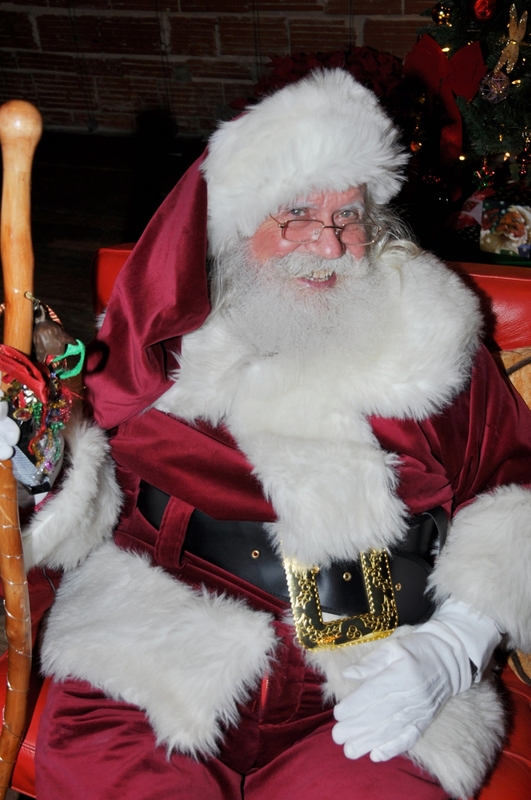 He makes it so easy, and fun, to believe in Santa! 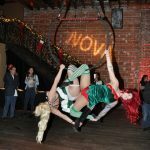 But even Santa has his limits, and when you offer up the dazzling, gorgeous spinning duo of Bell_ah and Mayven Missbehavin, of course Santa wants to enjoy the party! 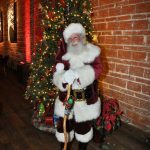 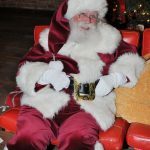 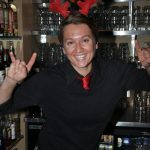 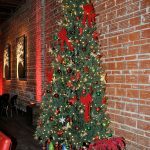 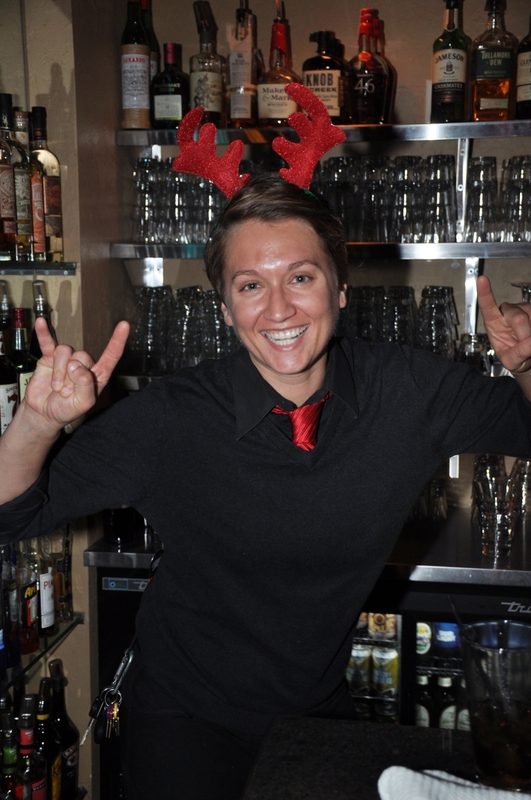 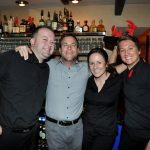 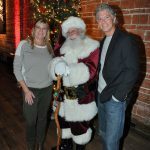 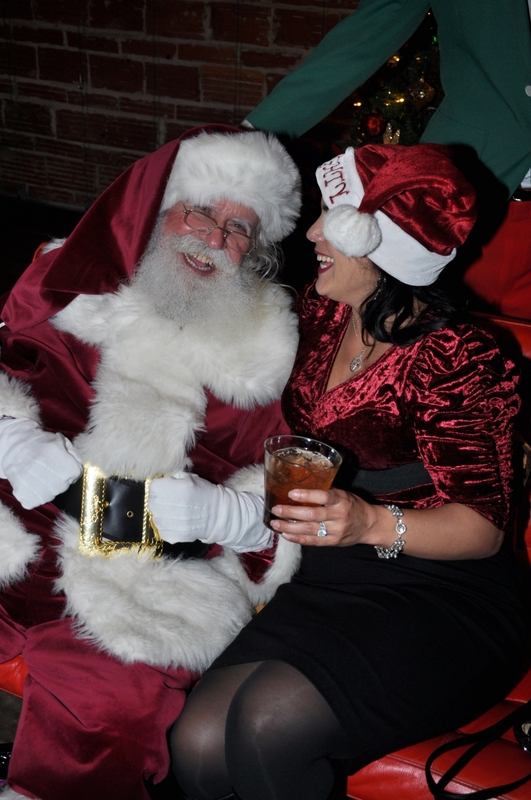 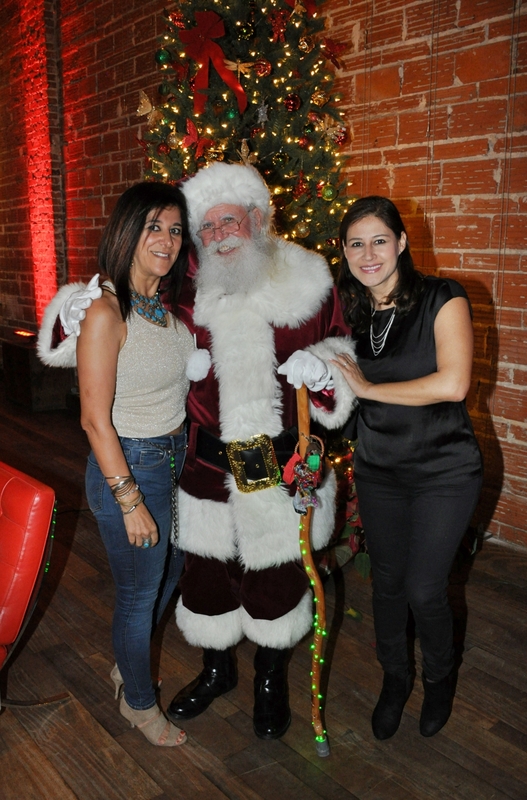 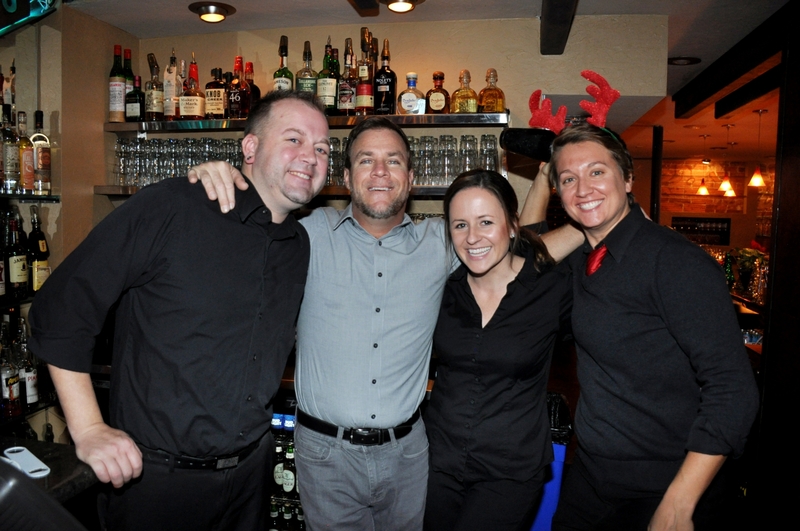 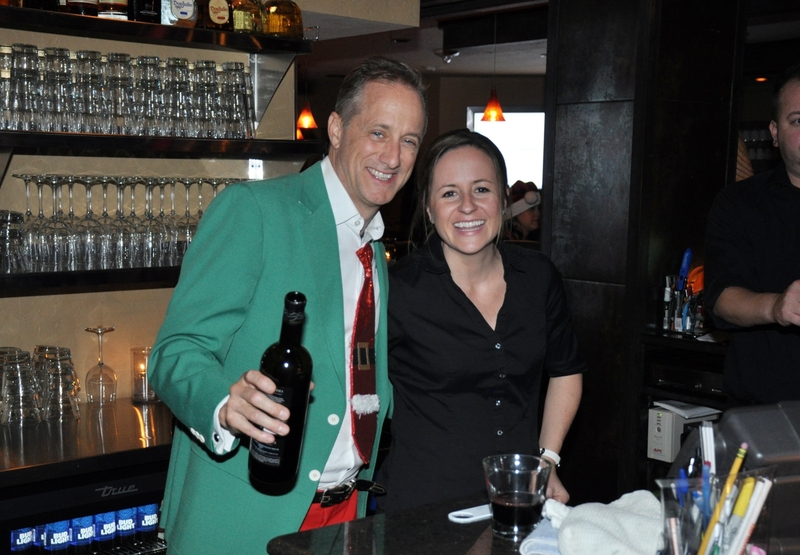 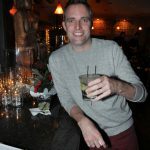 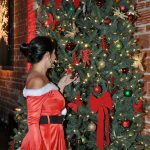 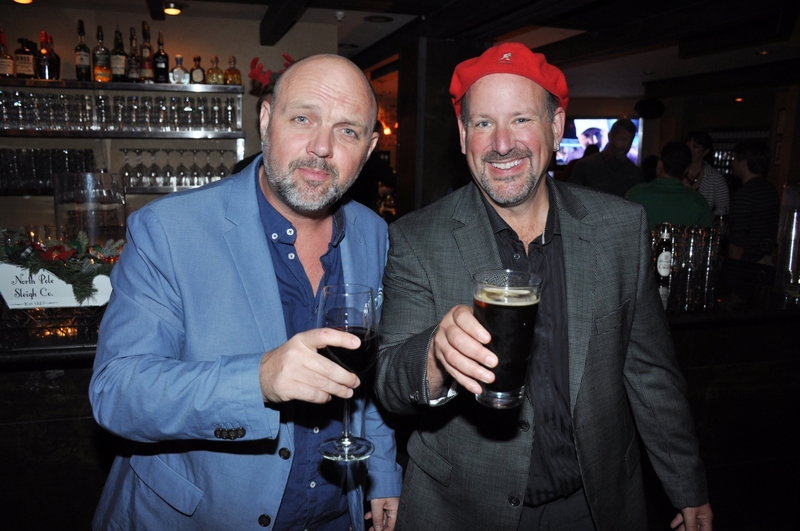 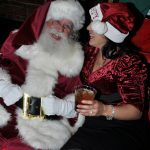 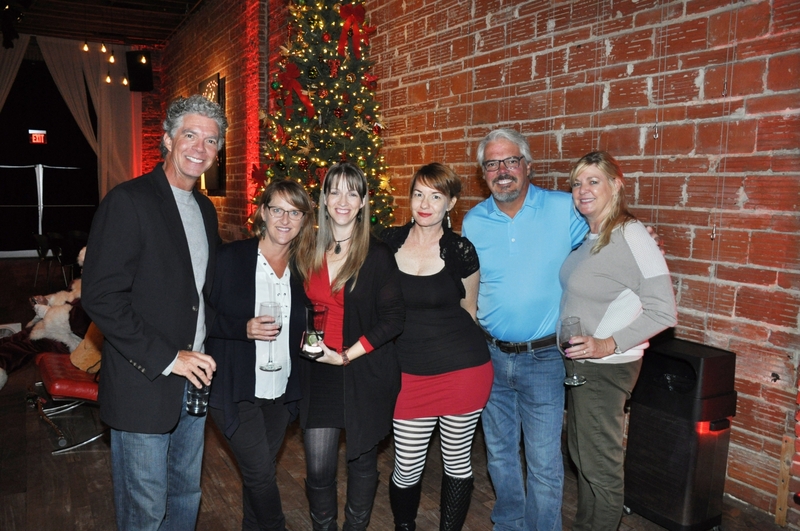 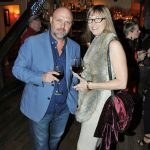 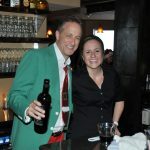 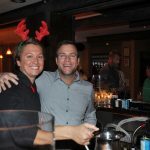 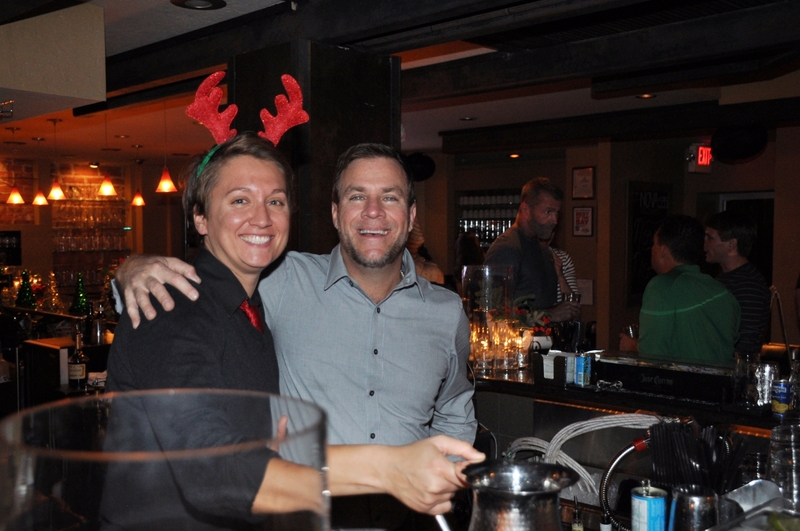 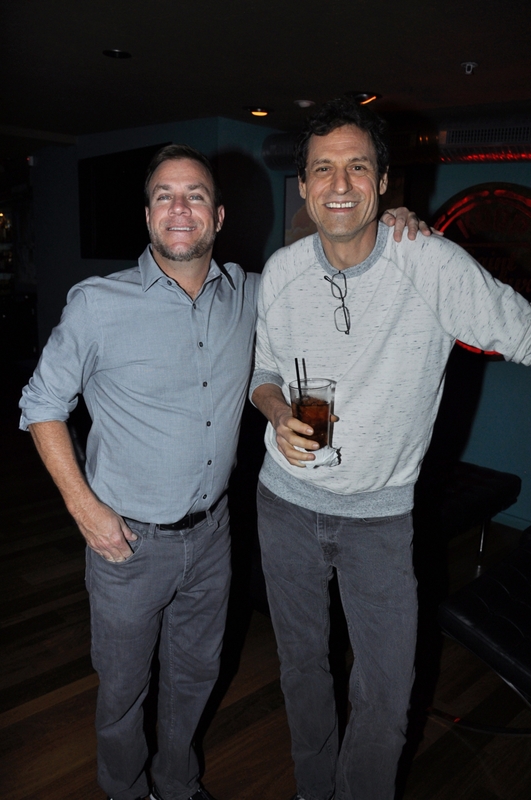 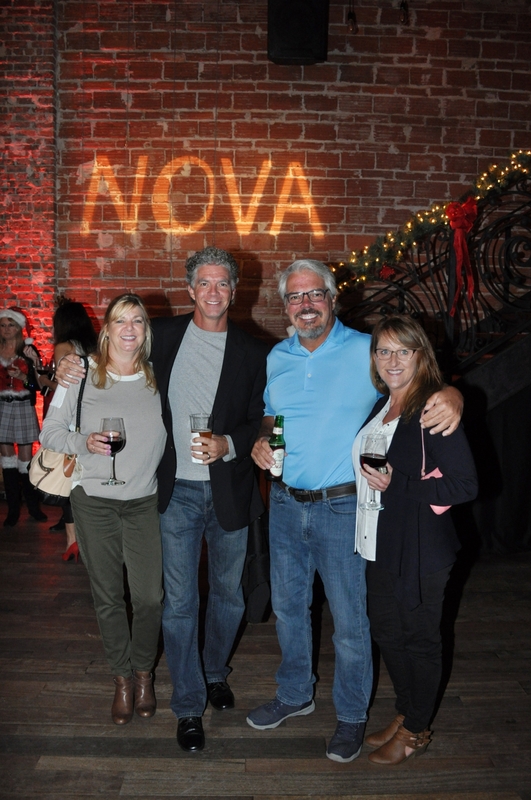 Nove Noel brings in old friends and new! 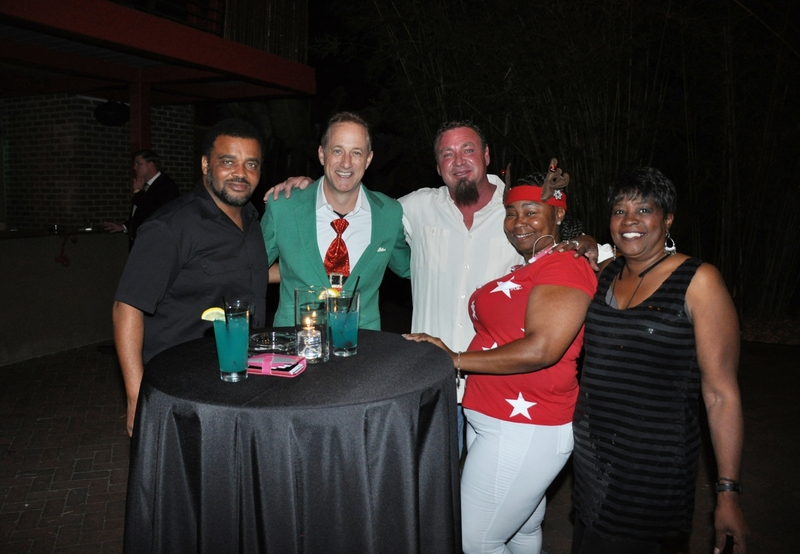 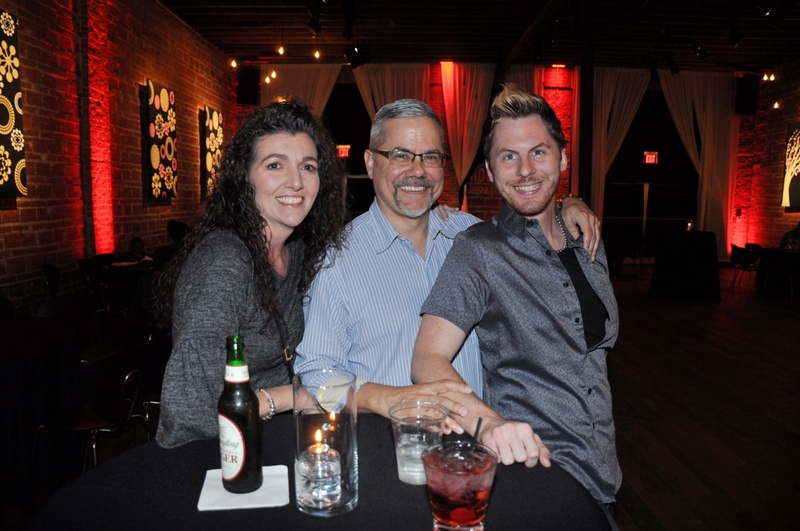 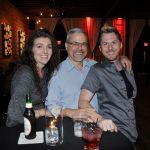 Above is the old school krew, Michael S. Novilla (ESC Founder, that’s me!) 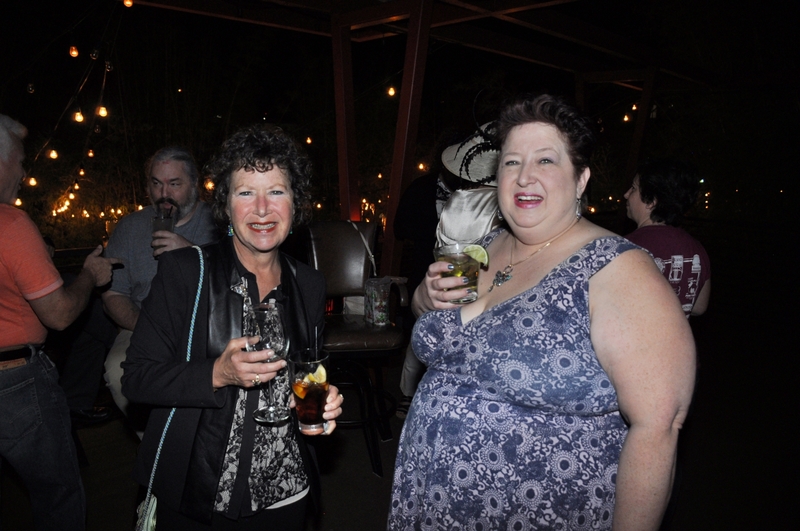 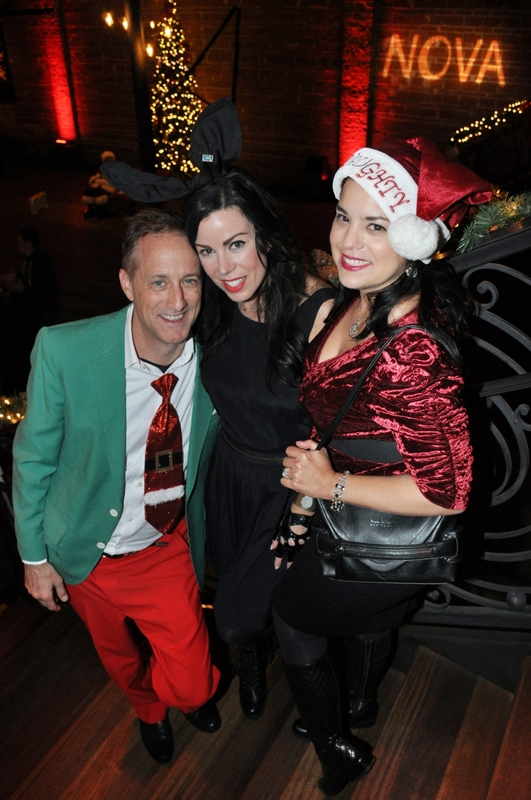 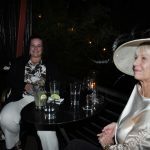 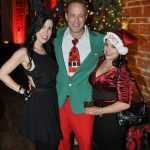 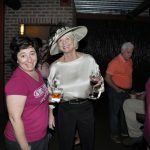 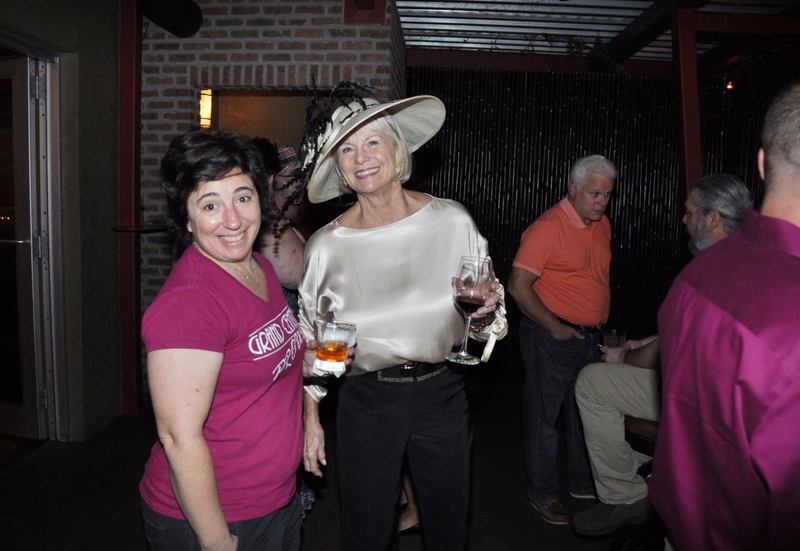 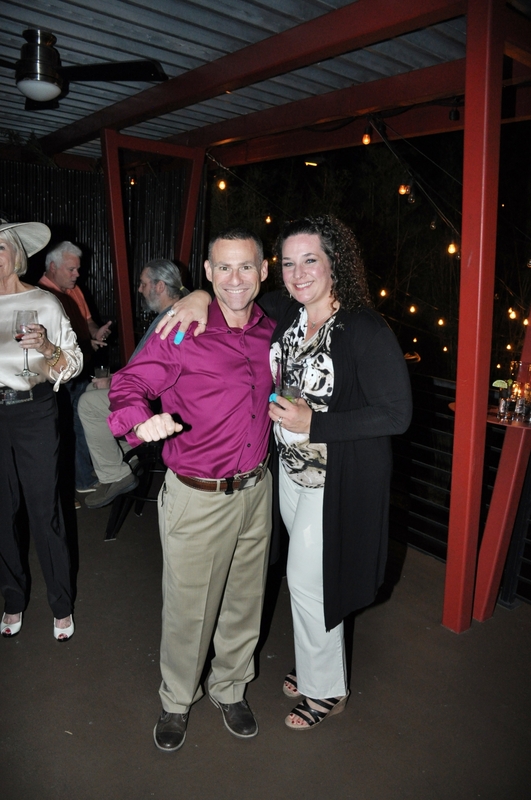 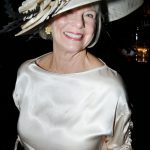 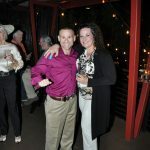 Carla Wessel and LLOM charity founder Sheri Kendrick, with Mr. 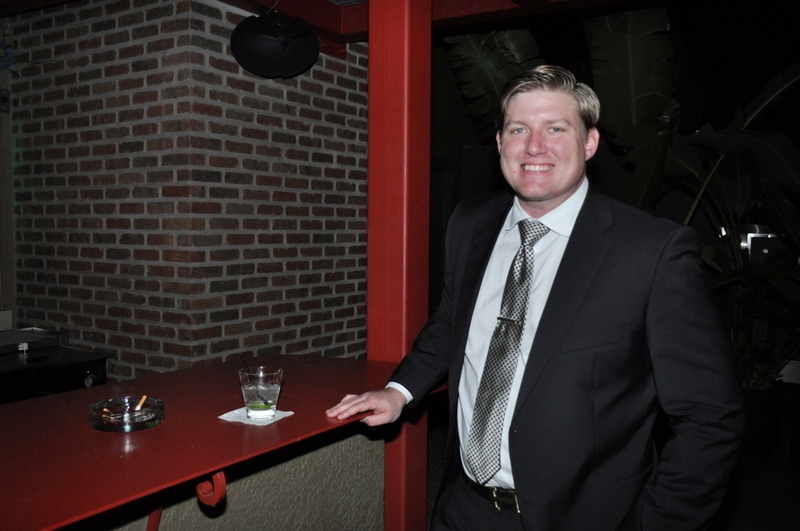 Fully Equipped Troy Peterson (kneeling). 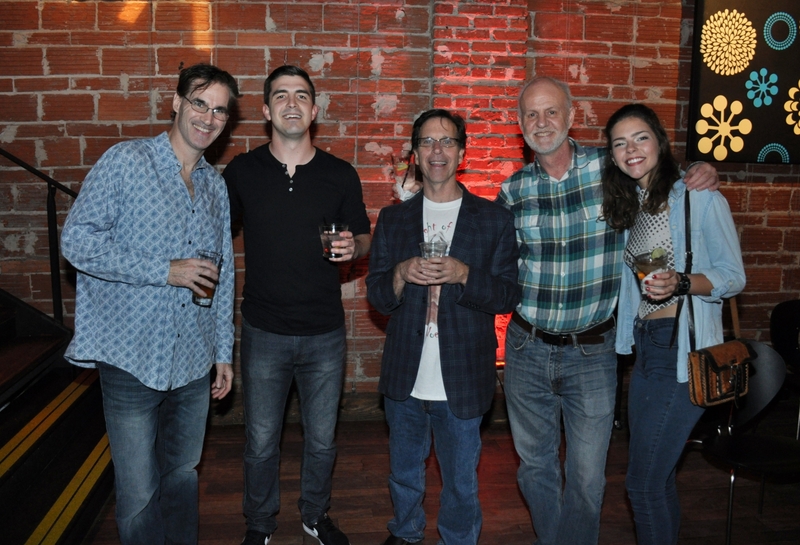 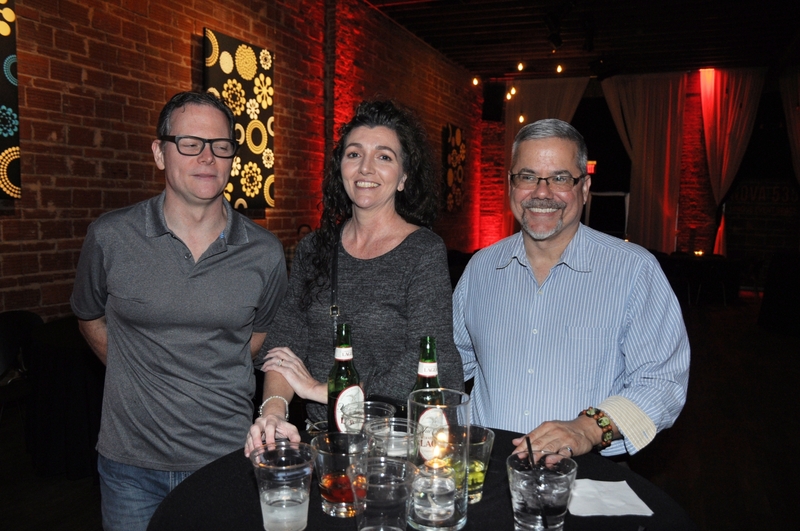 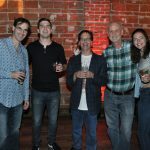 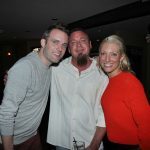 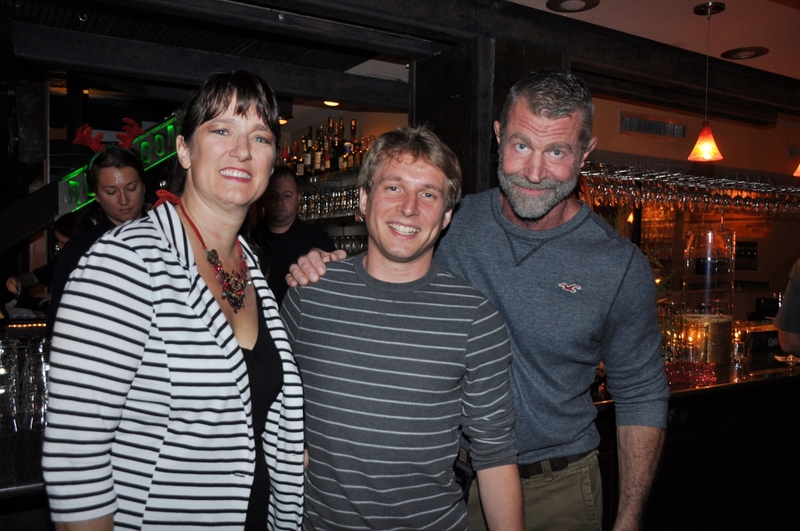 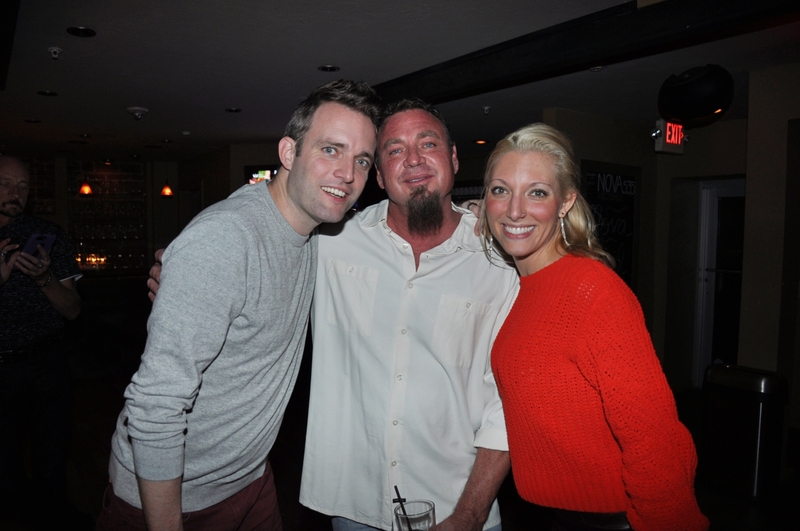 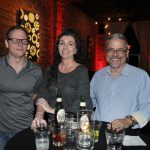 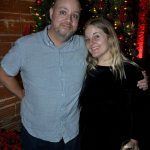 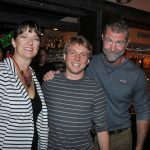 Below are newcomers photographer Jenna Michael, Canadian filmmaker Kevin Kincaid and Mr. finance Bill Tarleton. 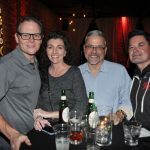 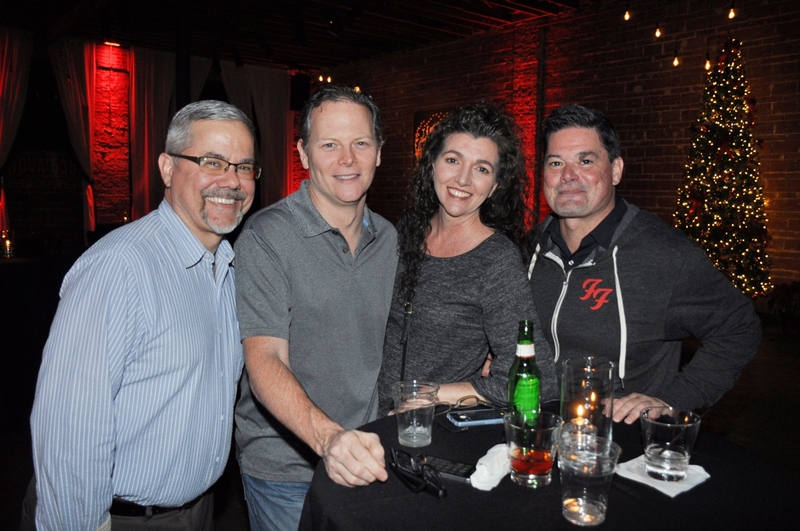 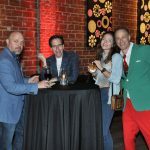 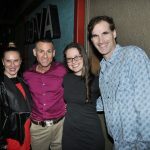 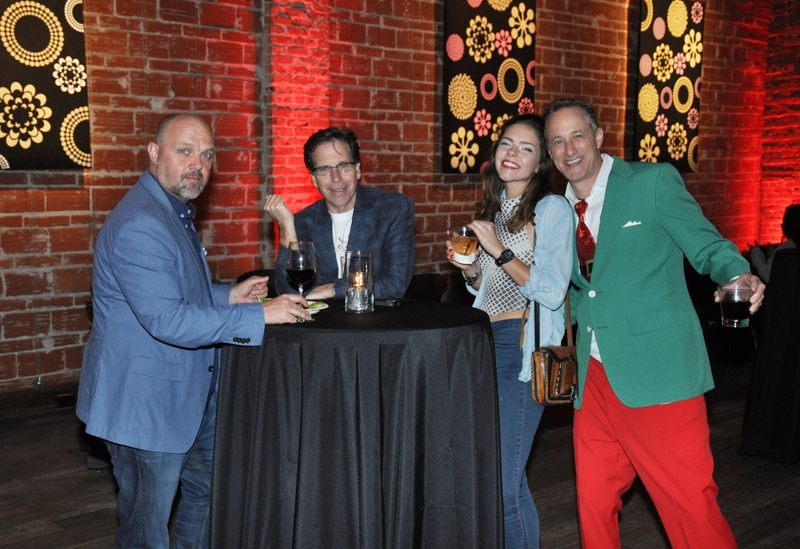 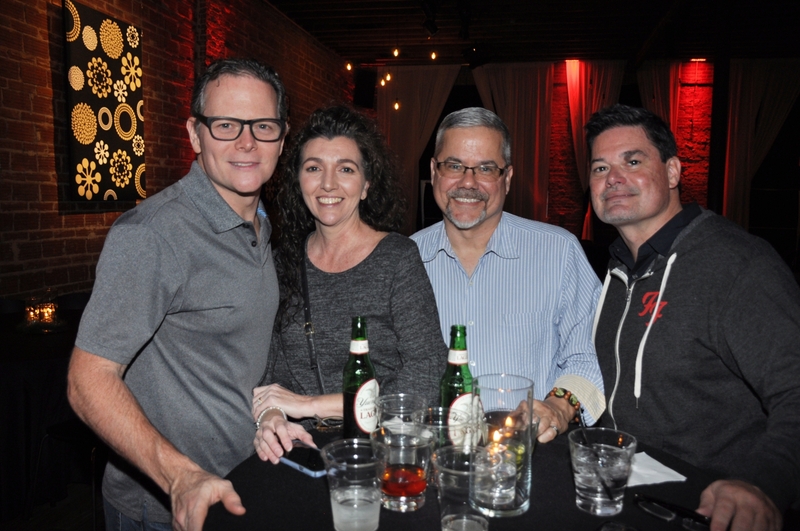 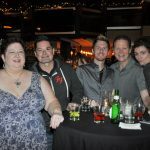 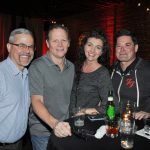 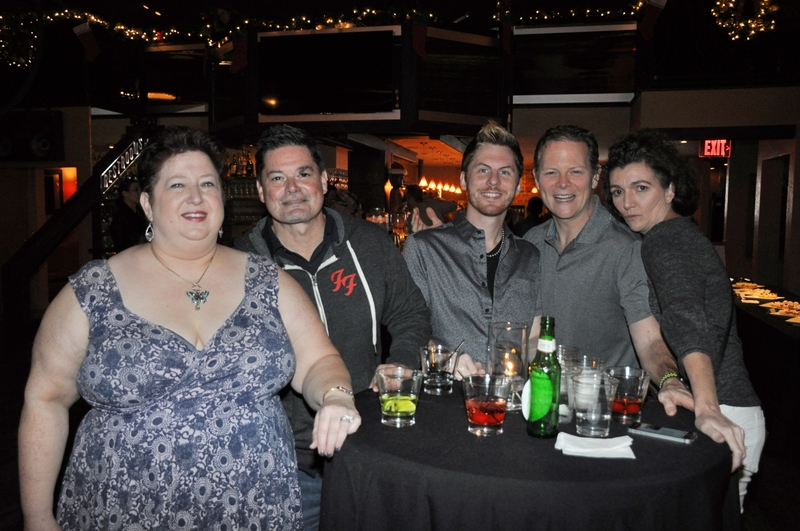 My longtime friends Consultant Amy Miller and our Gia Porris-Ferrulo of Clear PH design share a hug with newish ESC member Greg Simmons while my spectacular brother Chris Novilla shares a hug with our favorite business consultant, Nick Mazeika. 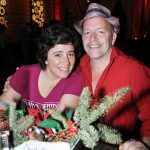 Happy New Year, filled with love, health, success and happiness to us all! 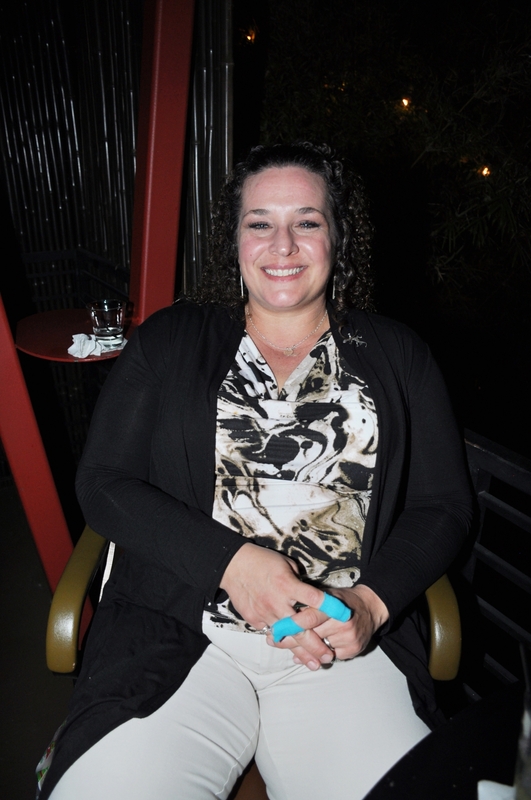 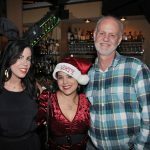 Above is performer Belle_ah, writer Anaelena Reynoso, superwoman Kym Jenkins, (where is her hubby Chris Jenkins? 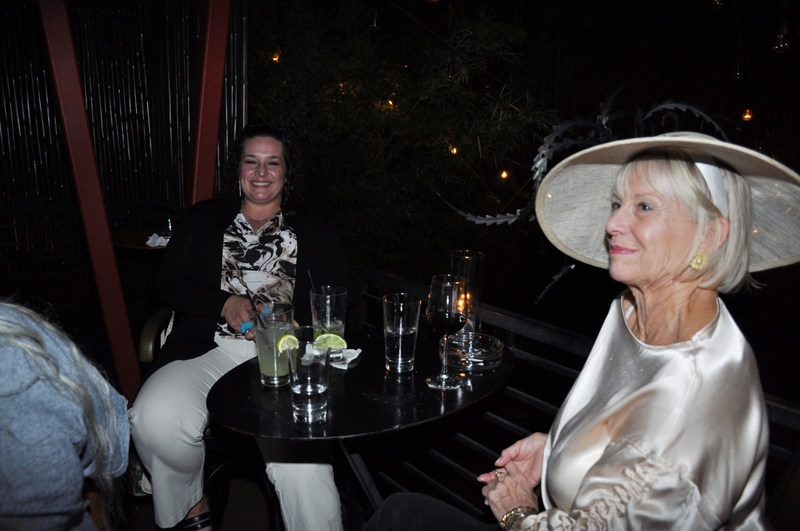 Holding court on the balcony, of course! 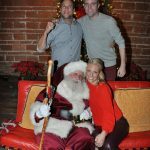 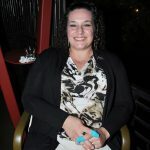 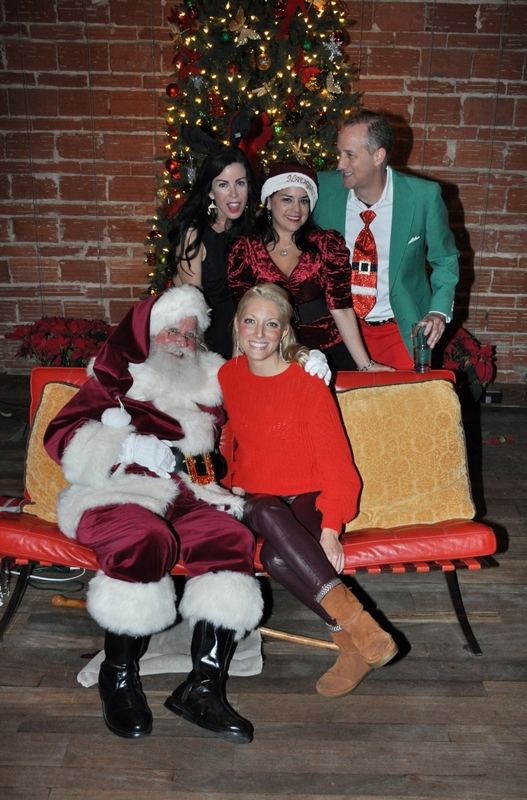 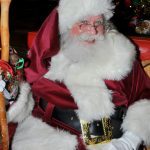 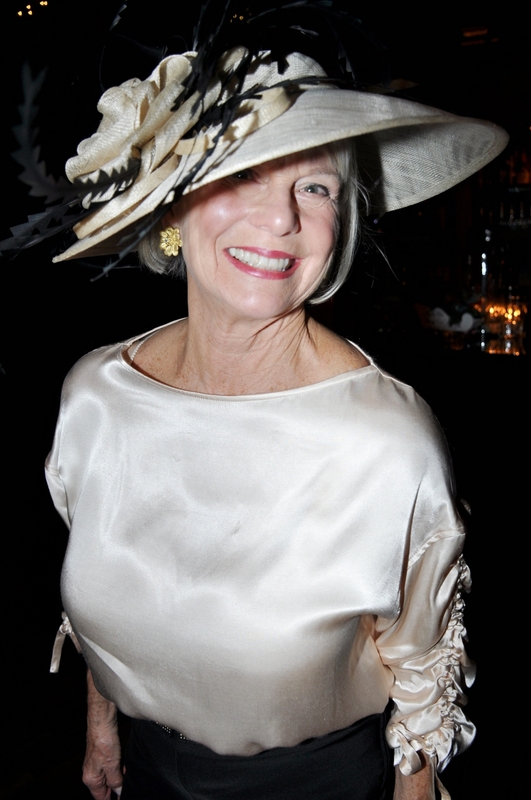 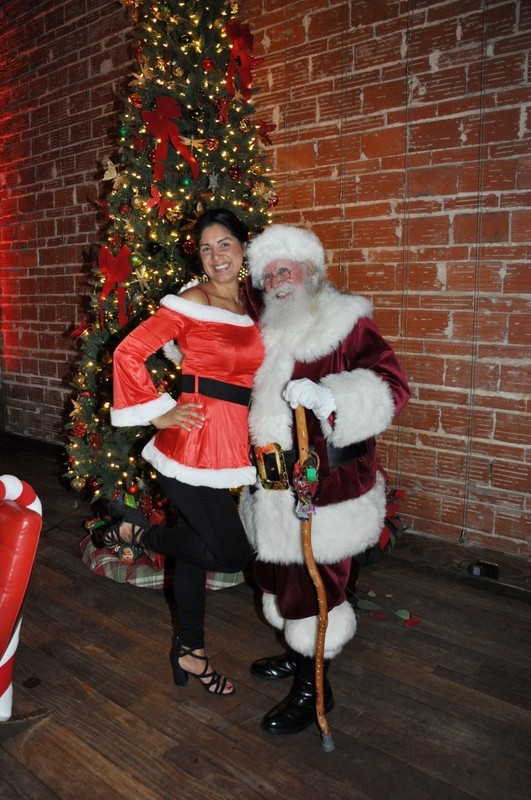 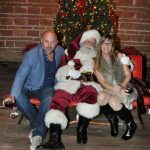 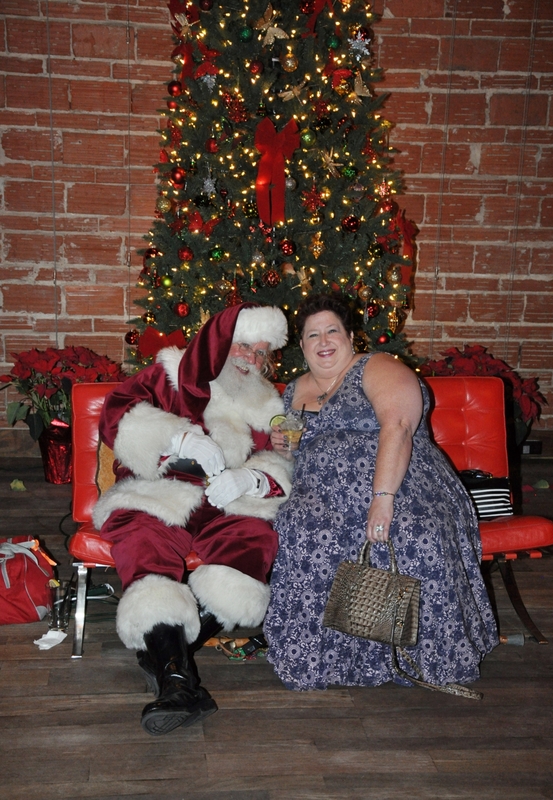 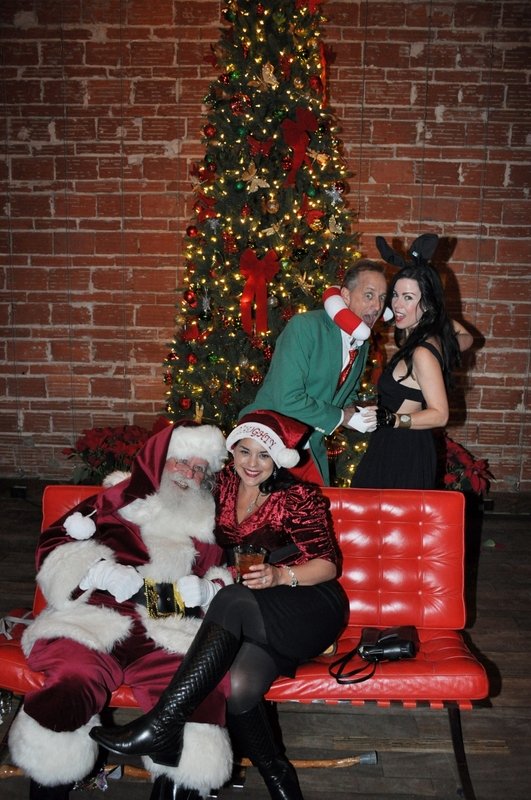 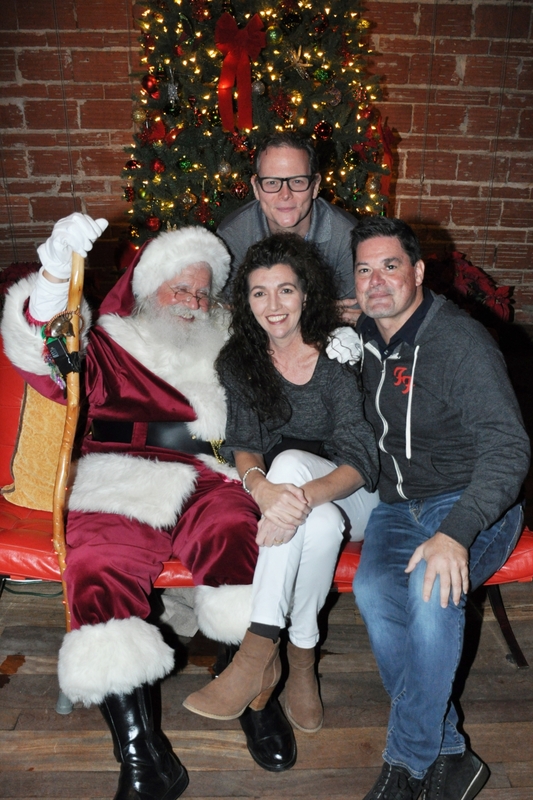 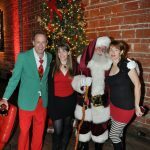 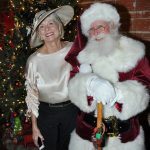 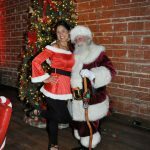 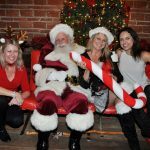 ), Santa, magazine queen Eileen Brock, Michael S. Novilla, Emily’s GF, Mayven and finally my super-star brother Chris Novilla. 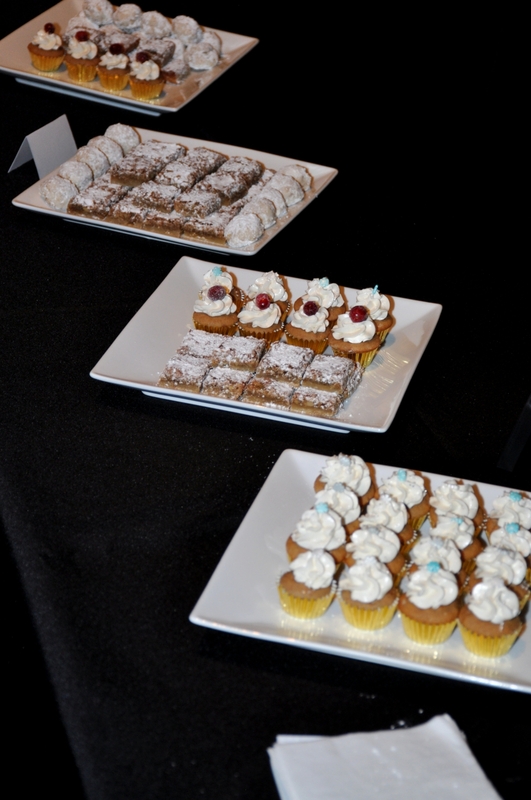 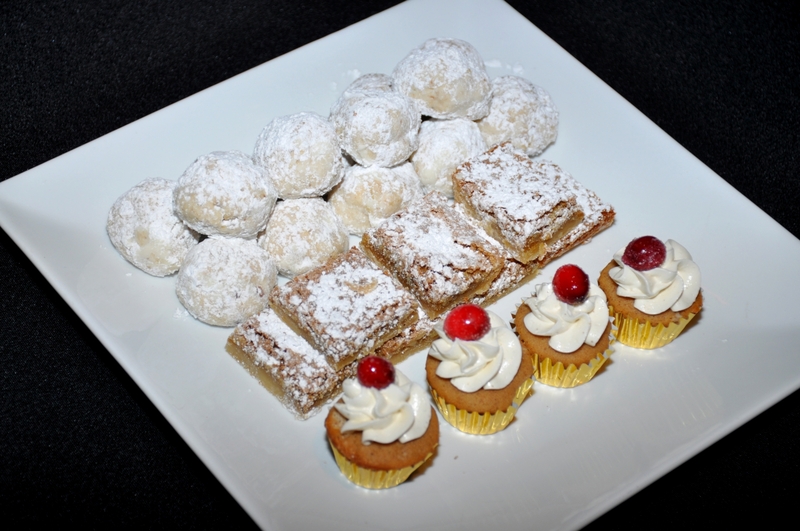 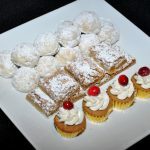 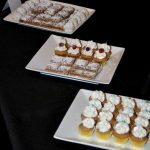 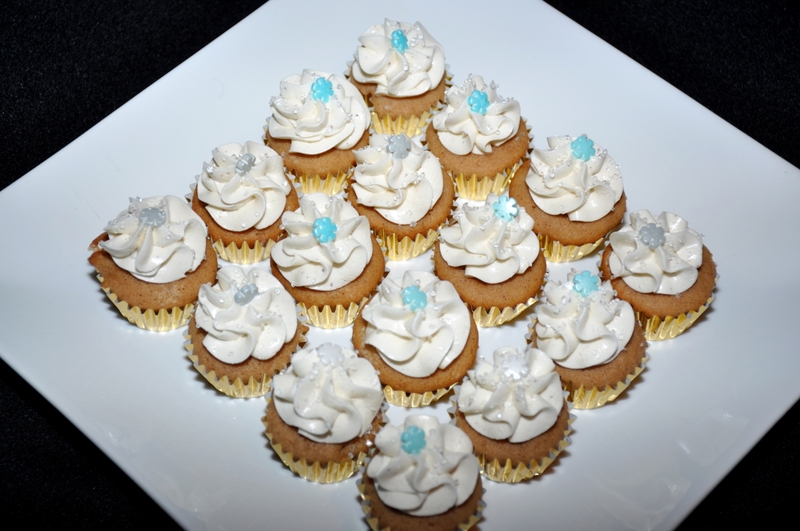 Below are the beautiful and tasty offerings from ESC member Jennifer Jacobs owner of Wandering Whisk Bakeshop! 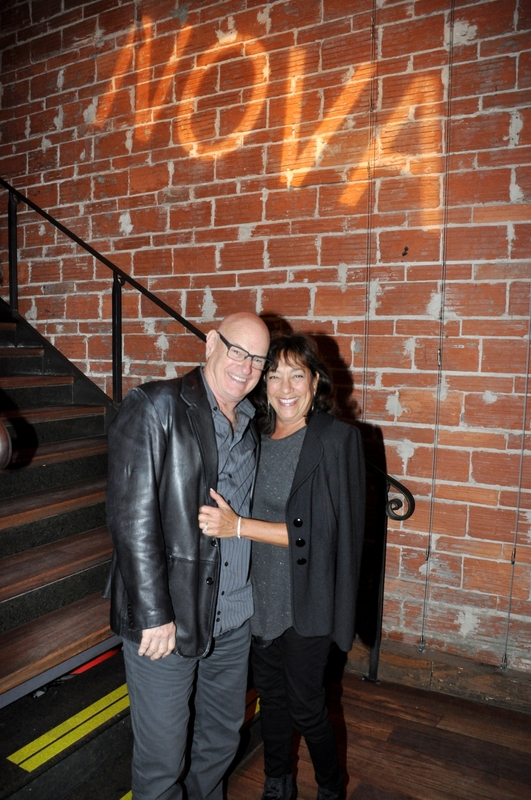 Thanks so much for all of your love and support! 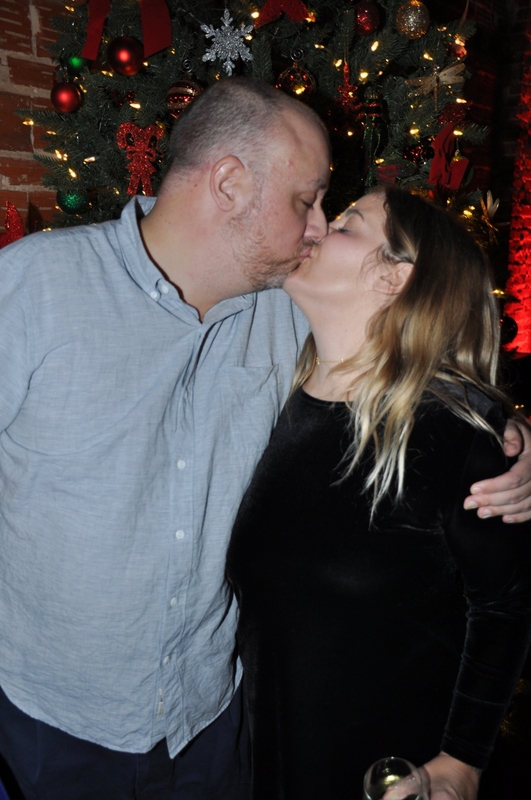 Best to us all in 2018 and way beyond!! 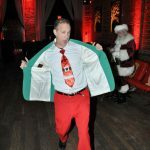 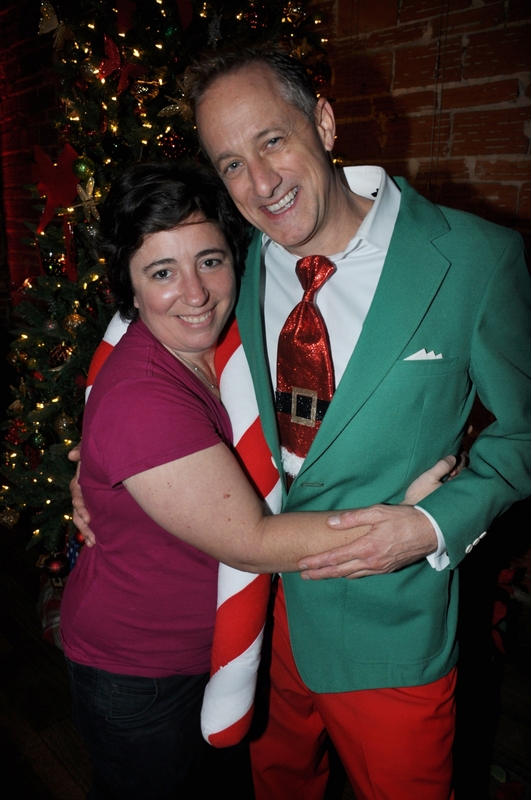 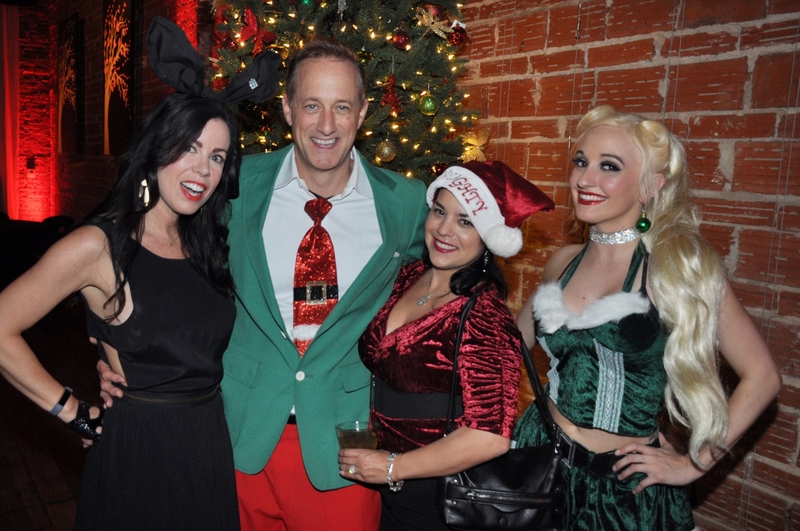 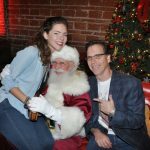 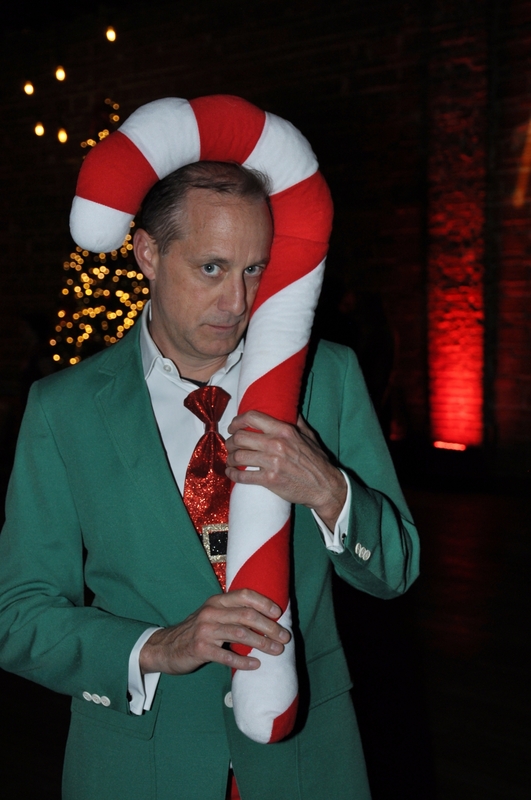 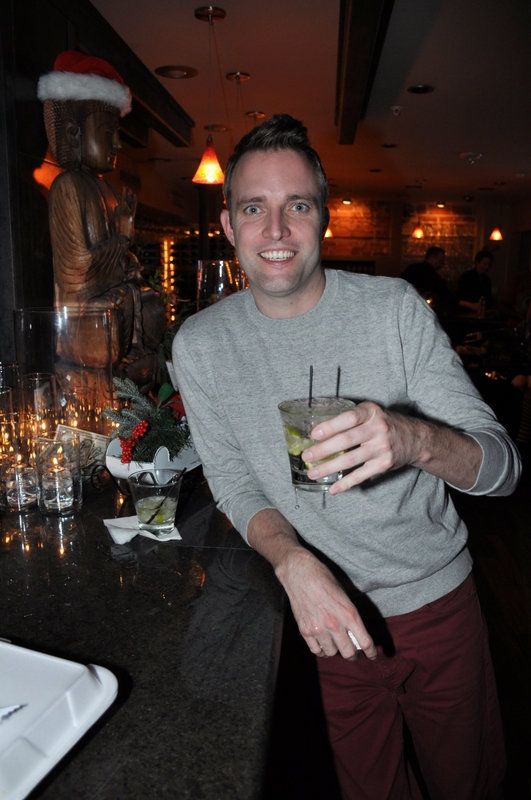 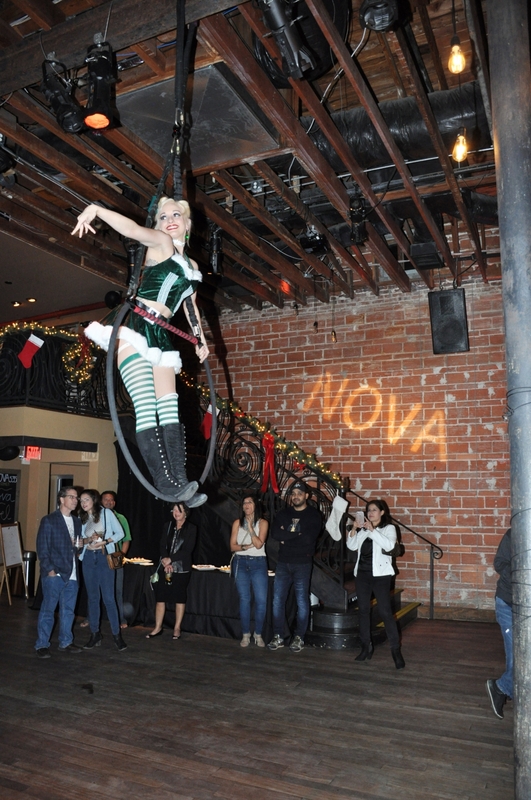 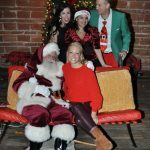 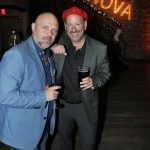 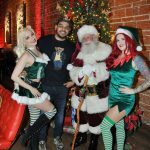 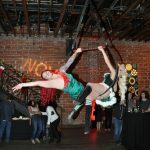 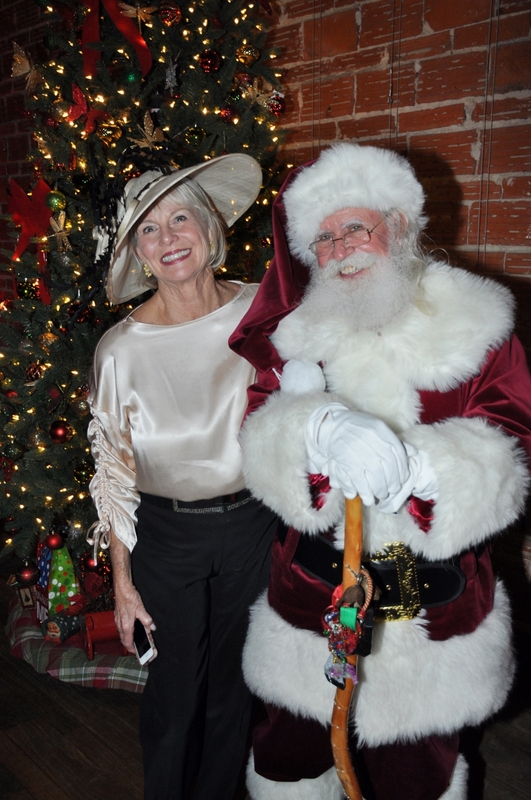 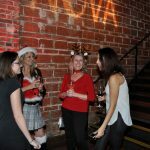 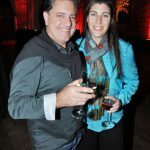 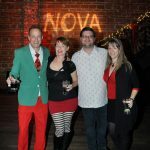 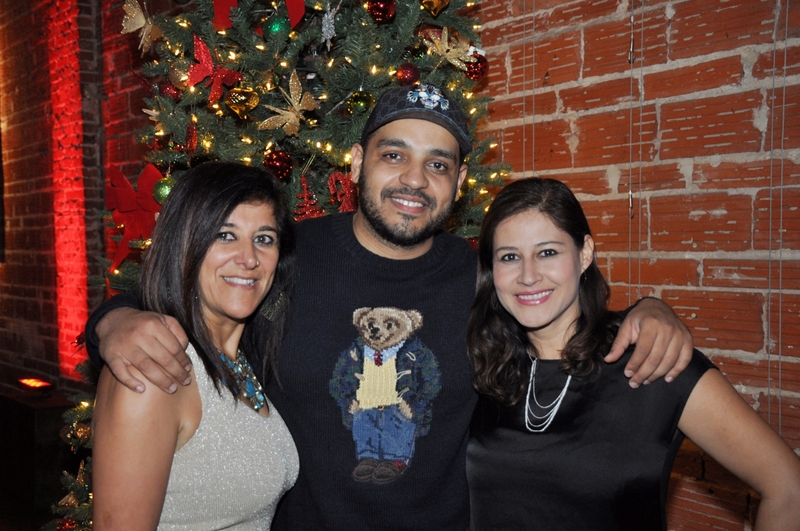 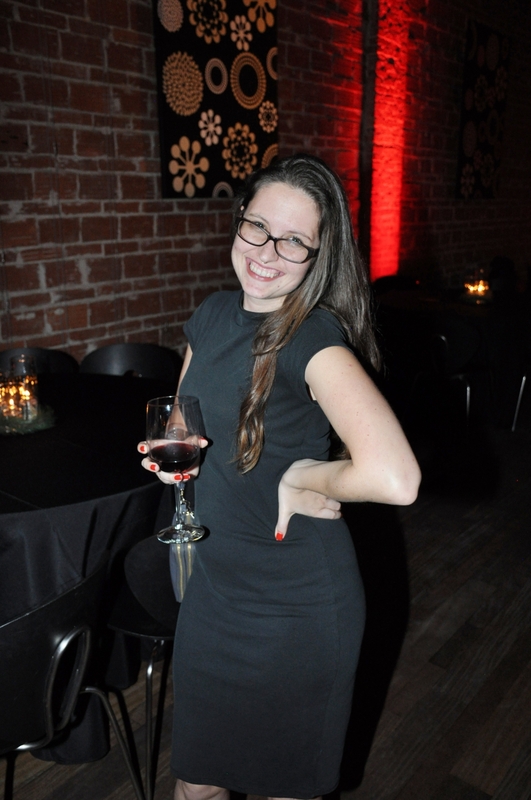 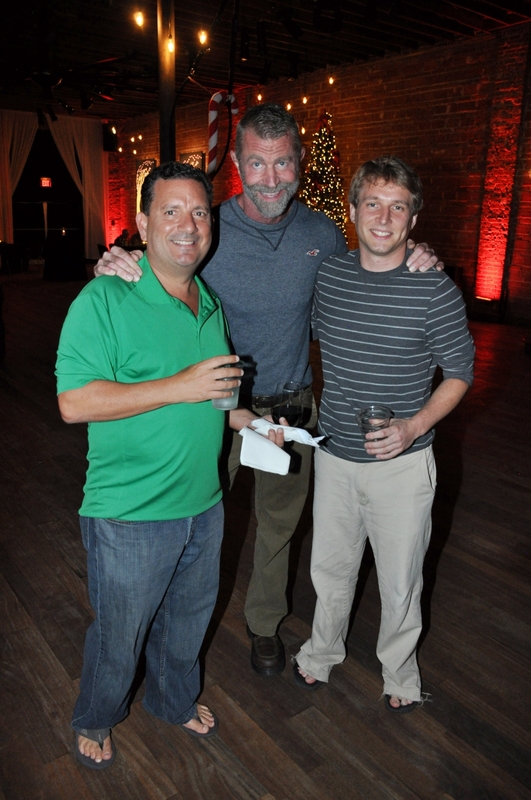 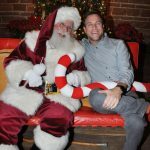 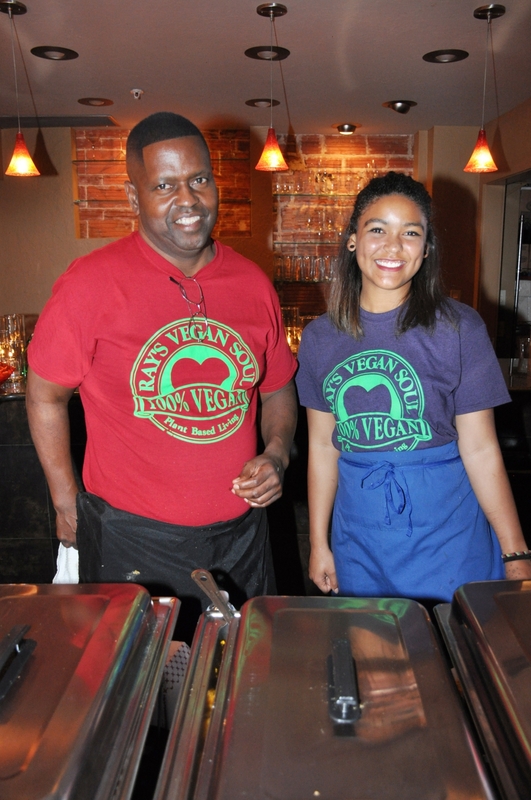 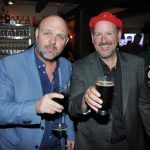 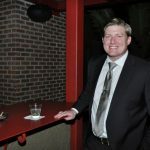 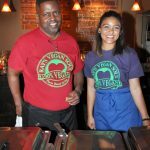 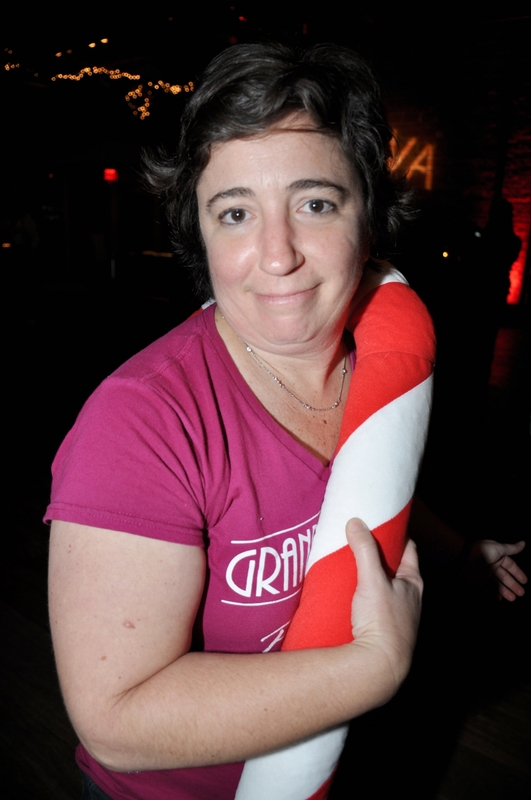 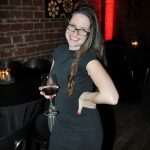 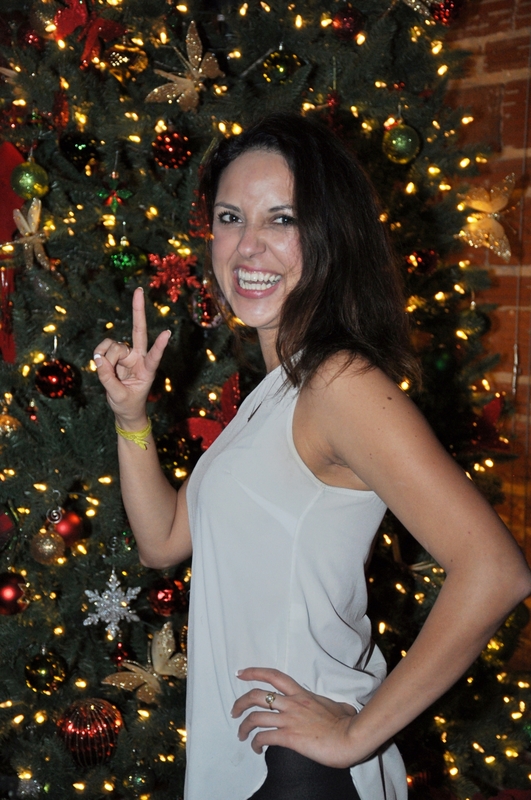 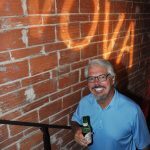 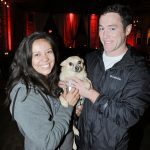 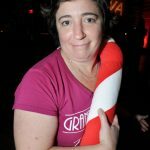 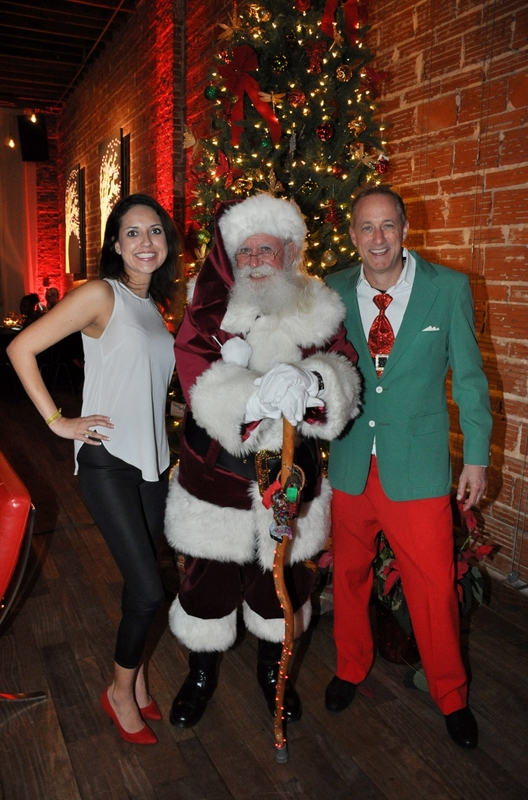 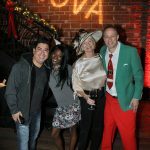 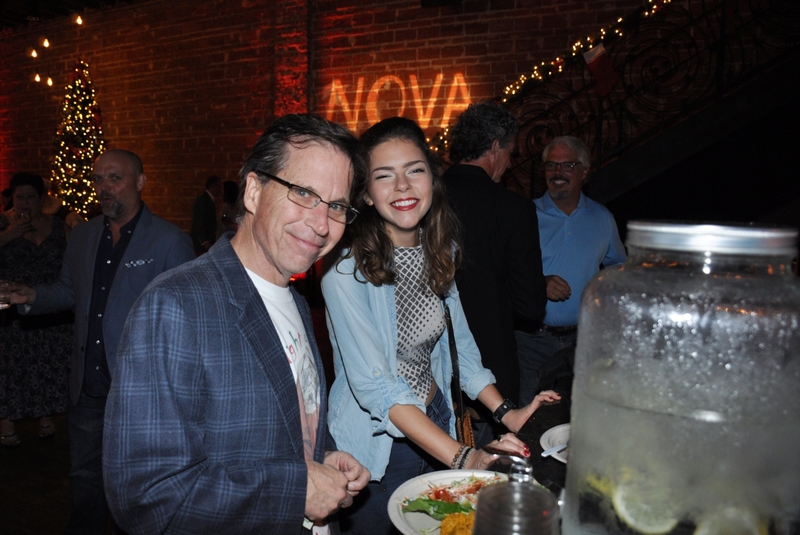 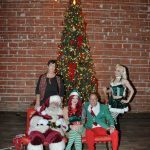 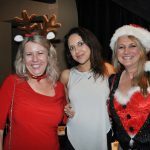 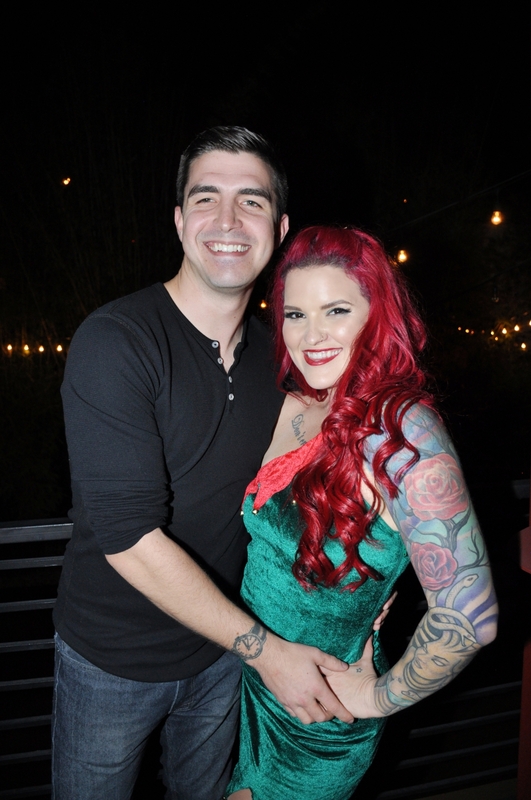 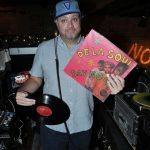 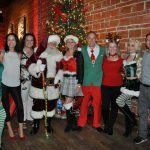 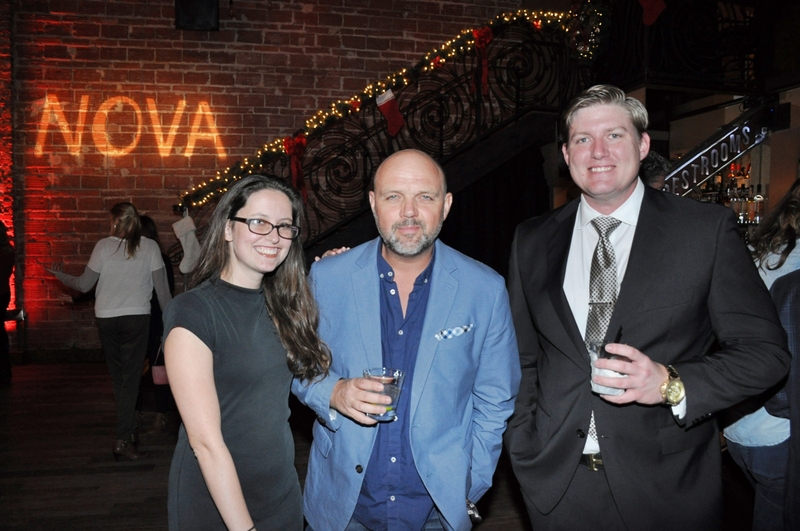 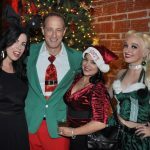 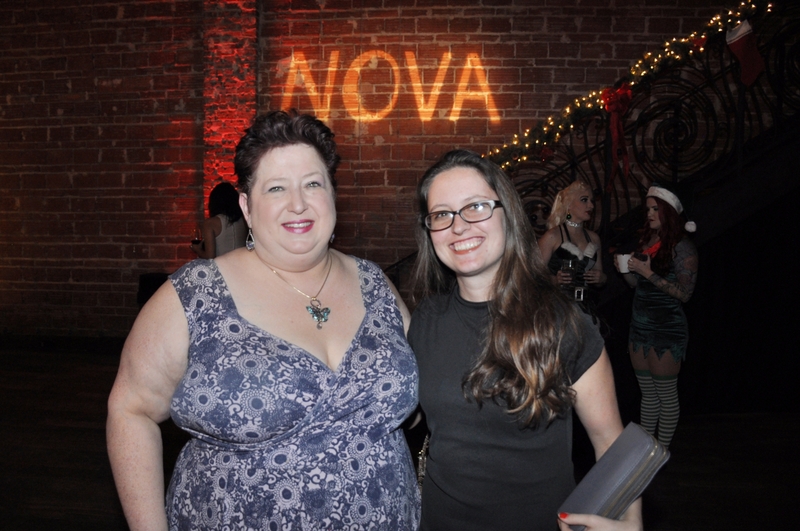 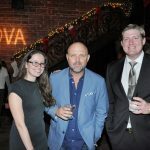 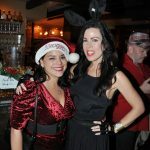 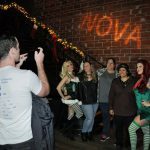 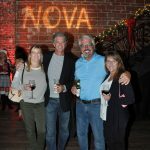 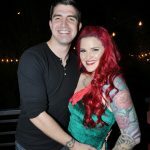 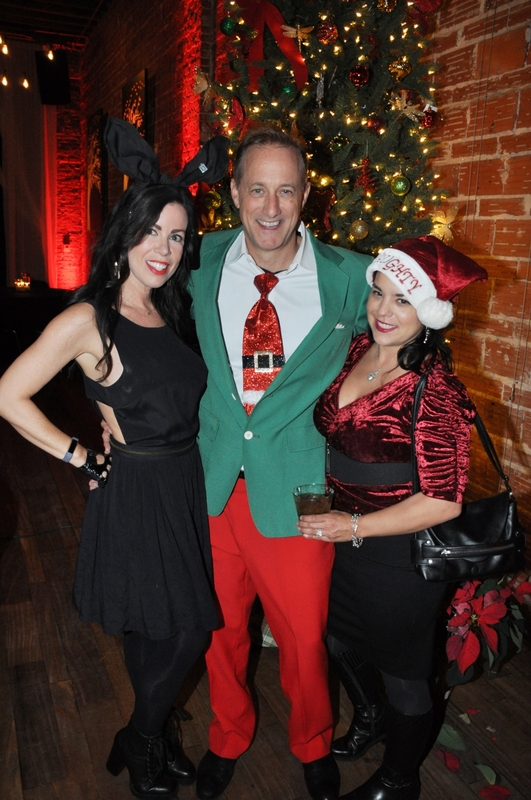 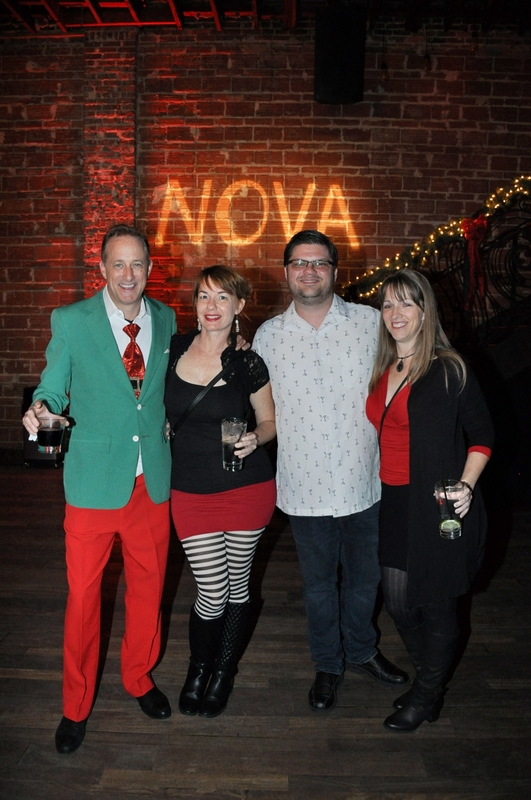 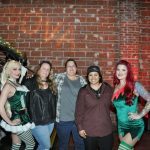 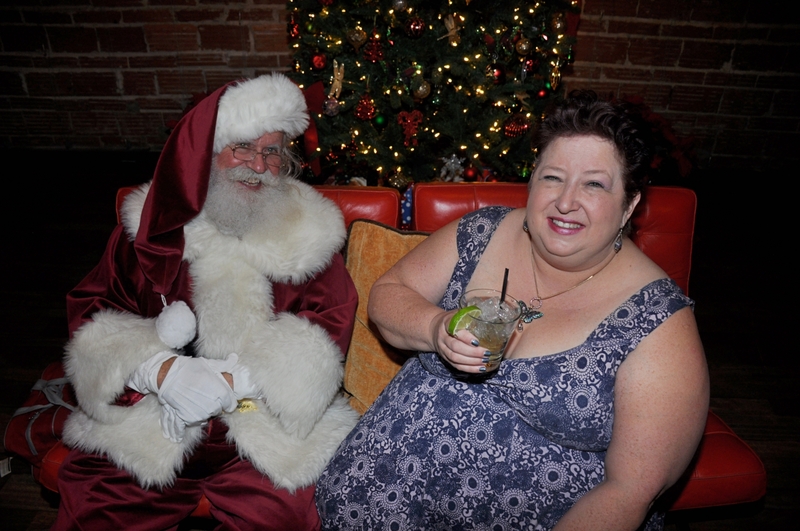 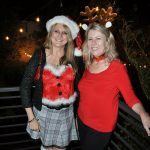 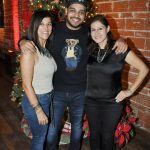 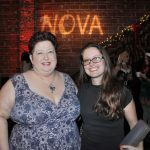 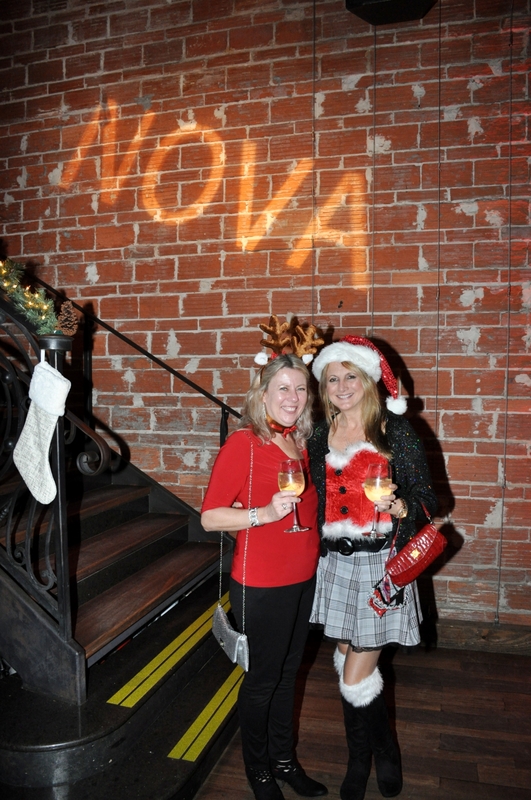 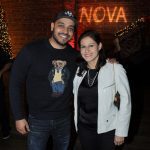 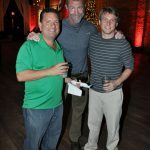 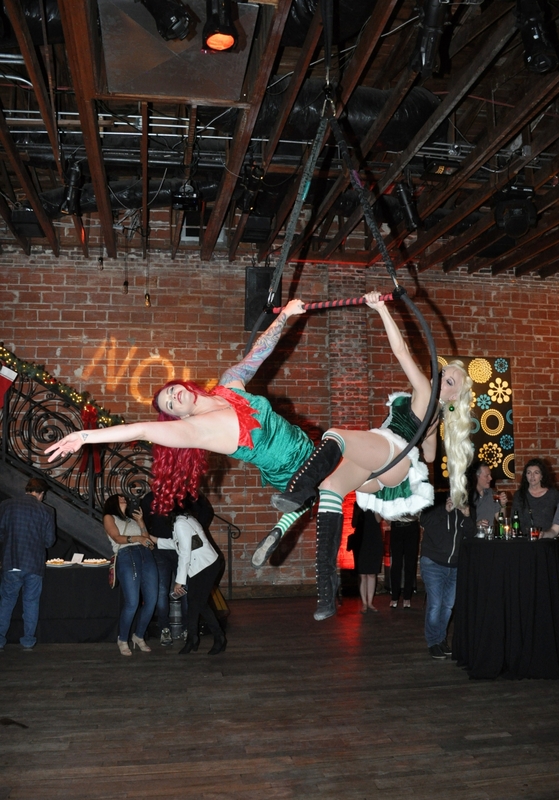 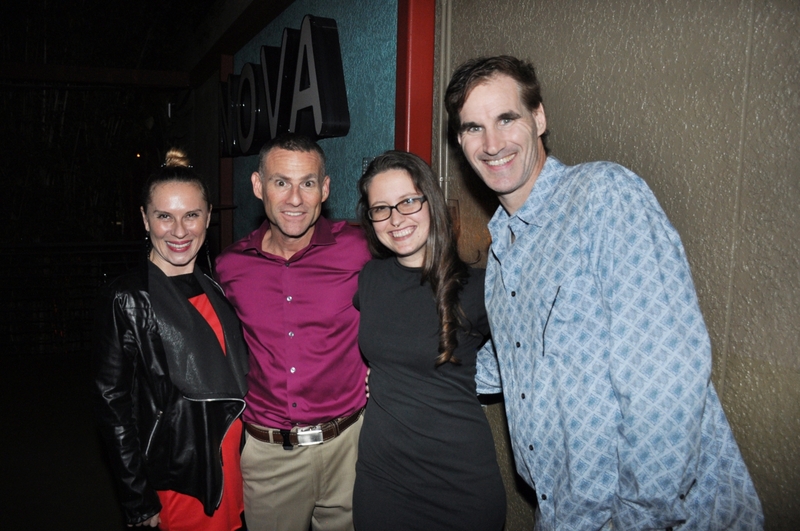 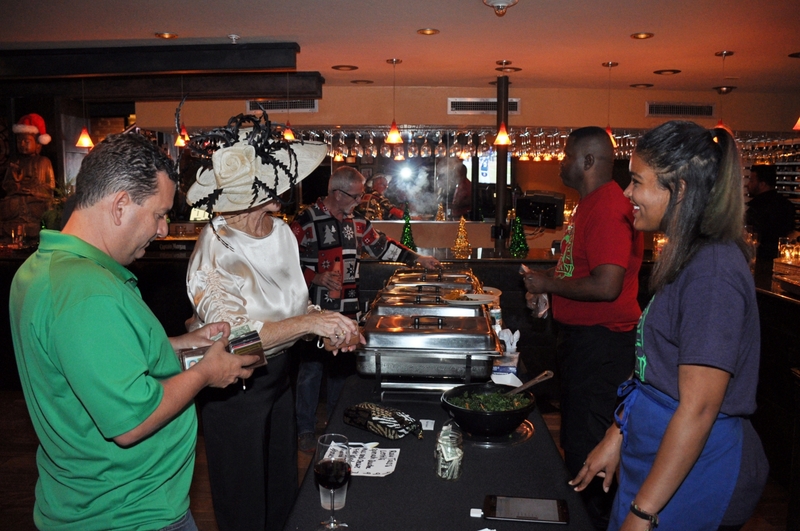 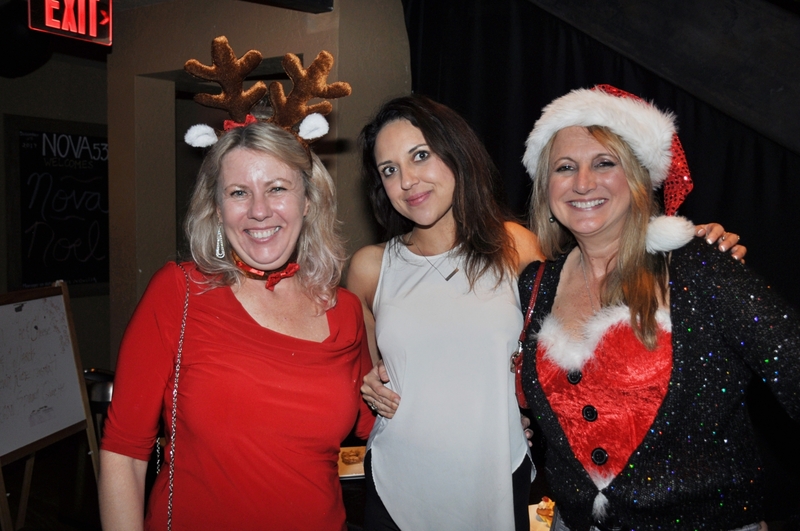 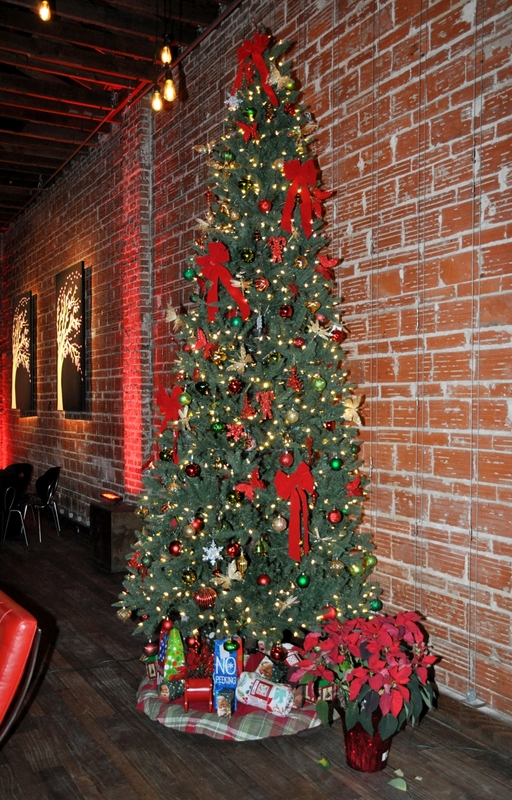 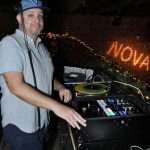 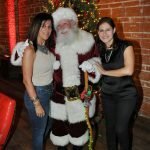 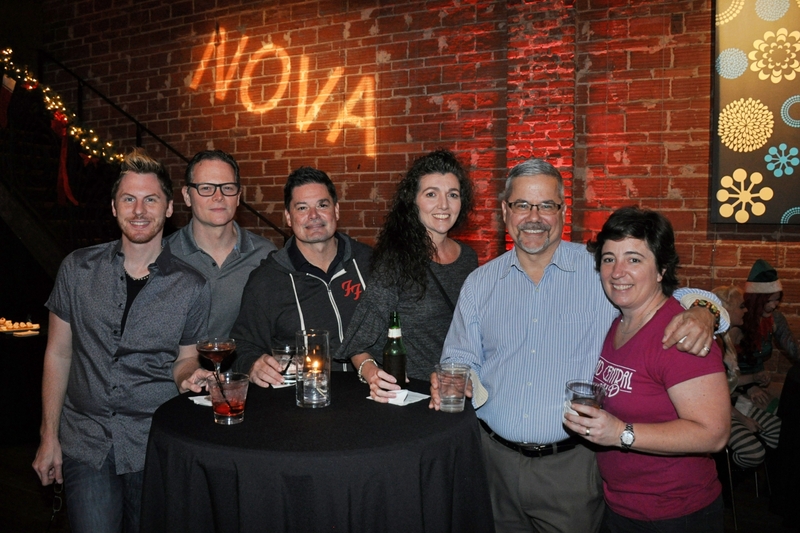 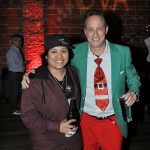 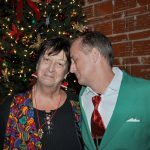 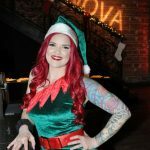 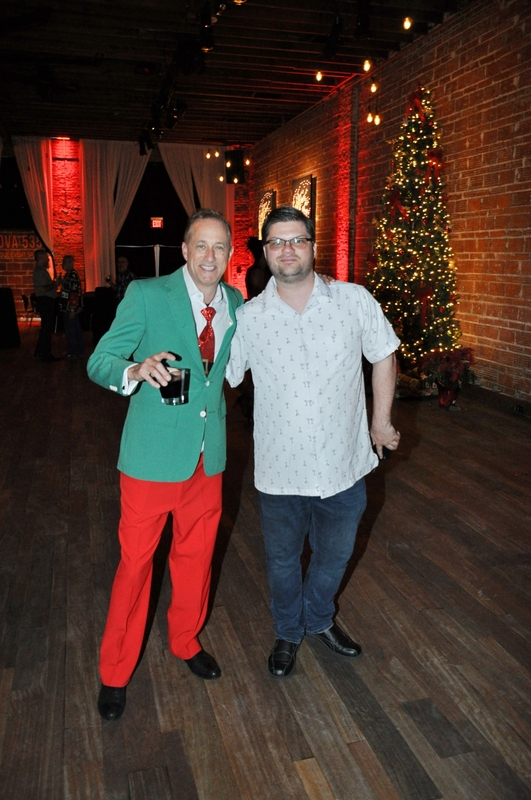 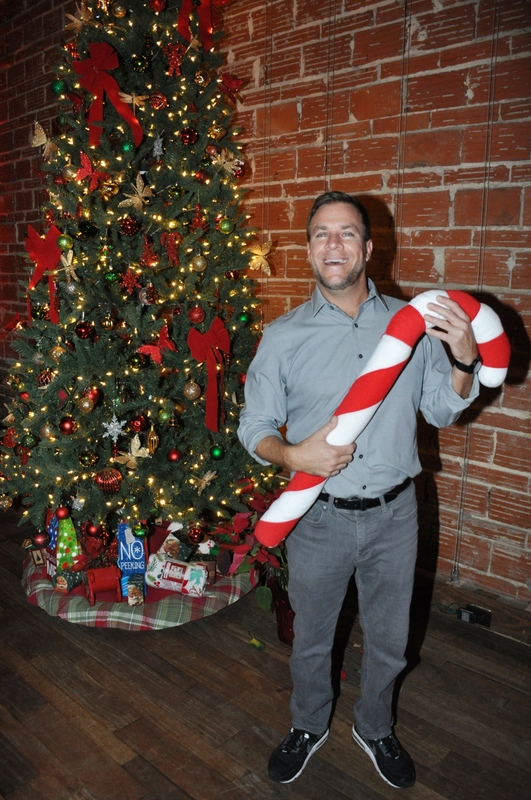 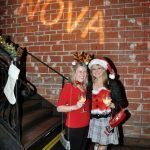 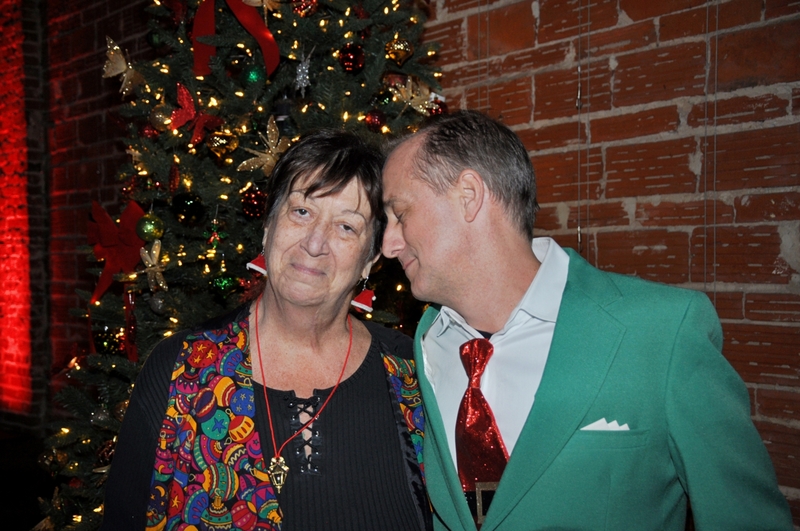 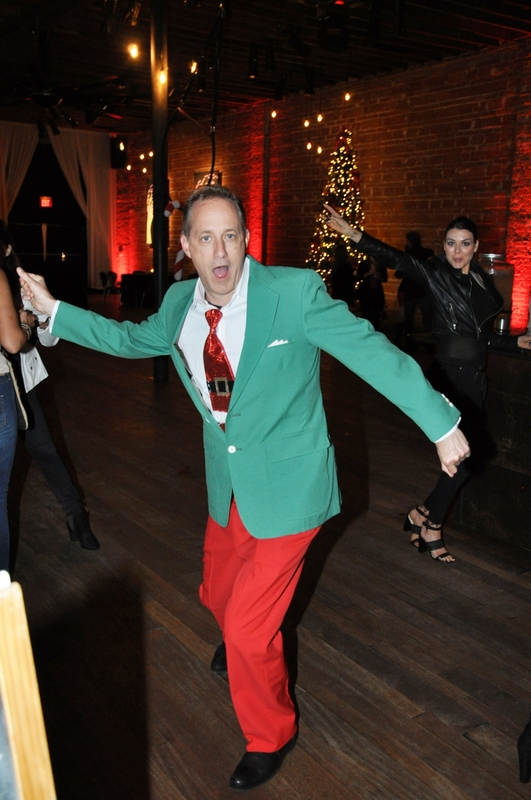 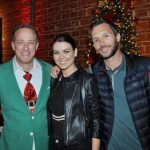 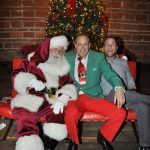 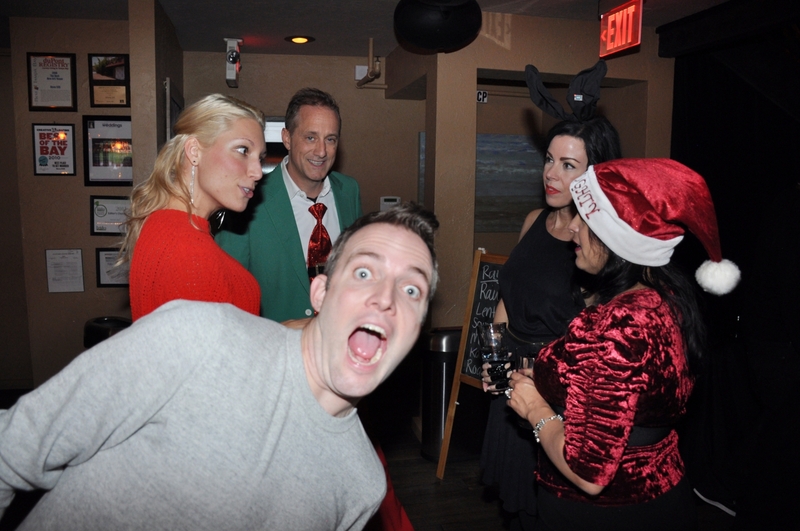 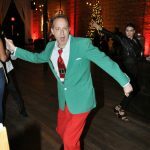 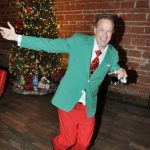 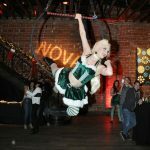 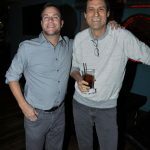 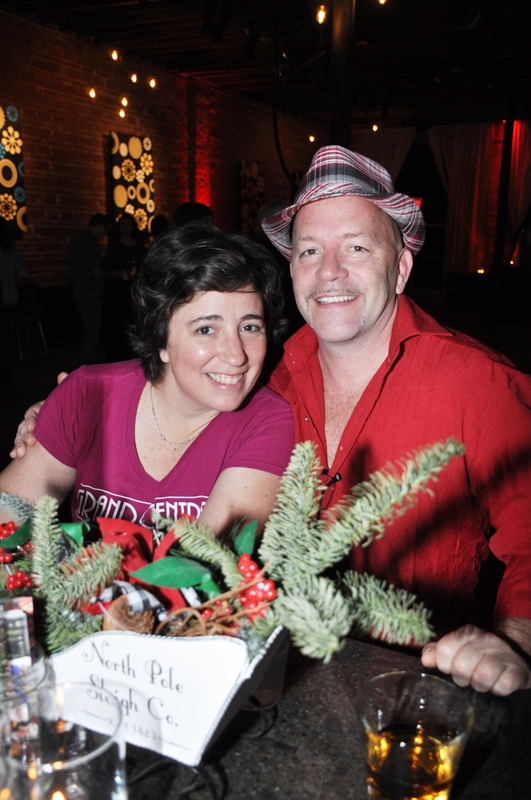 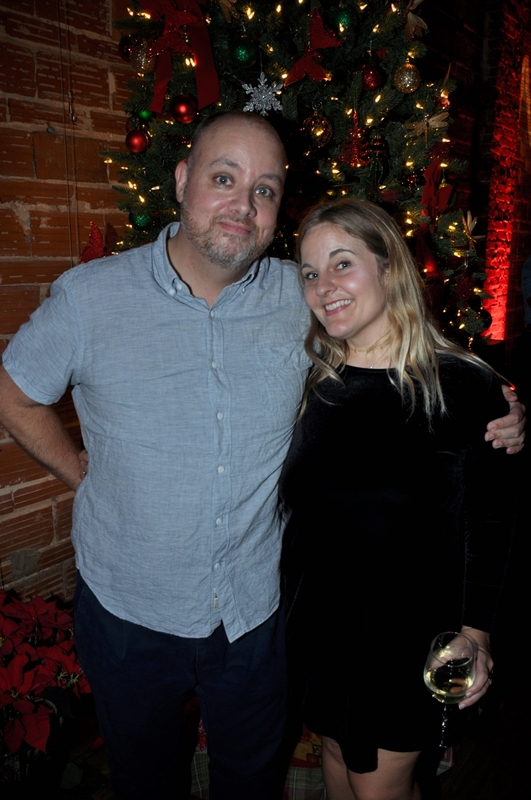 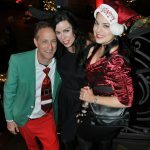 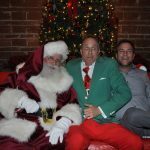 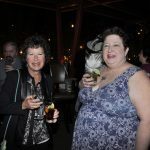 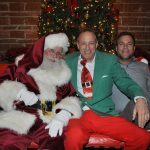 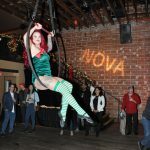 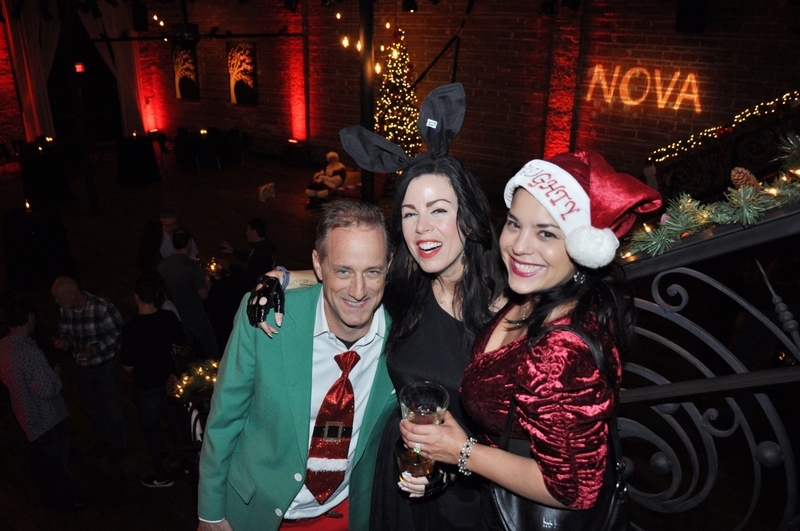 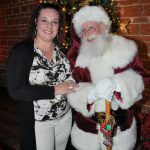 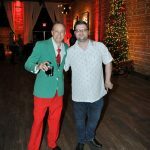 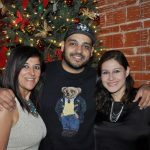 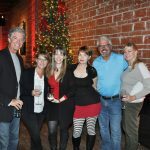 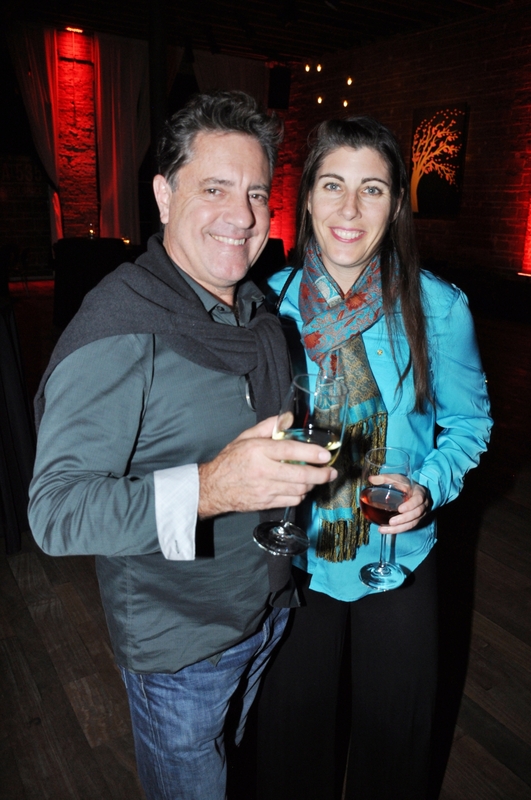 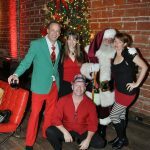 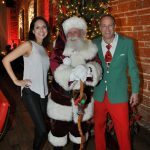 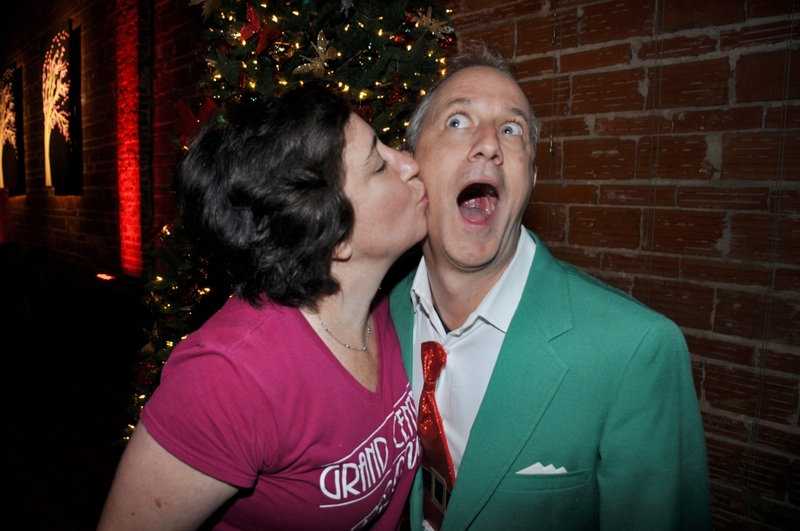 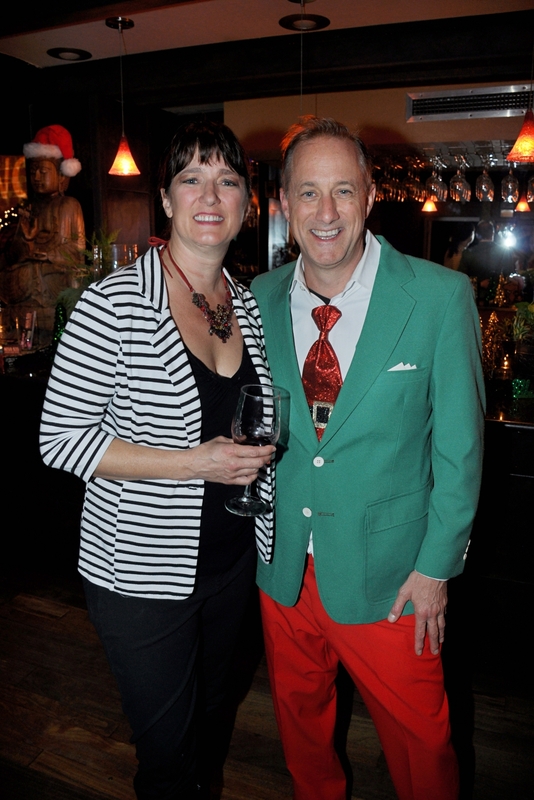 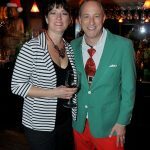 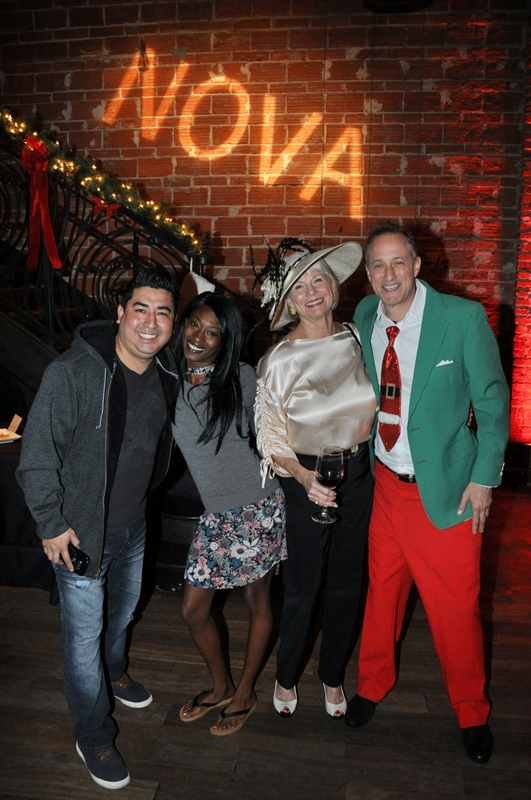 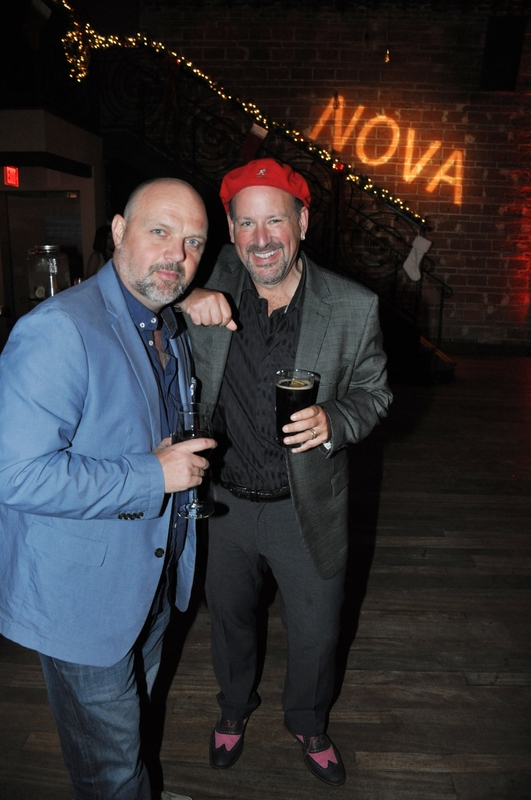 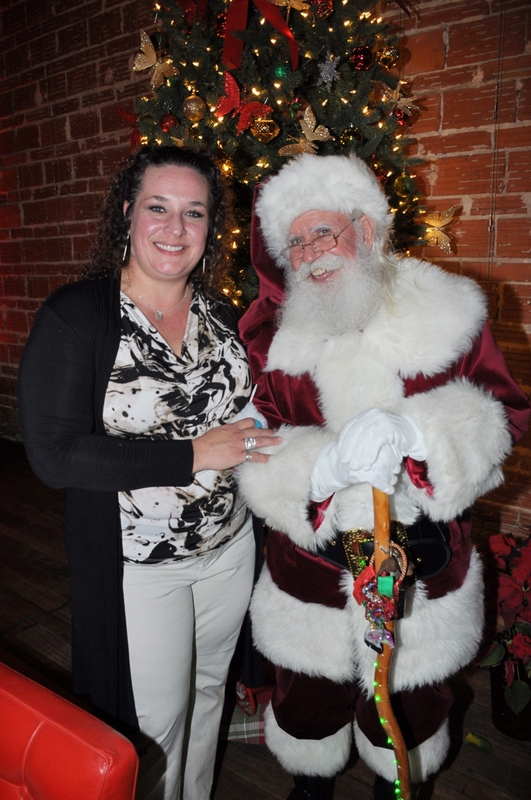 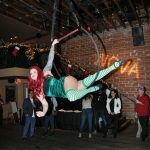 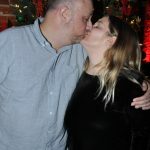 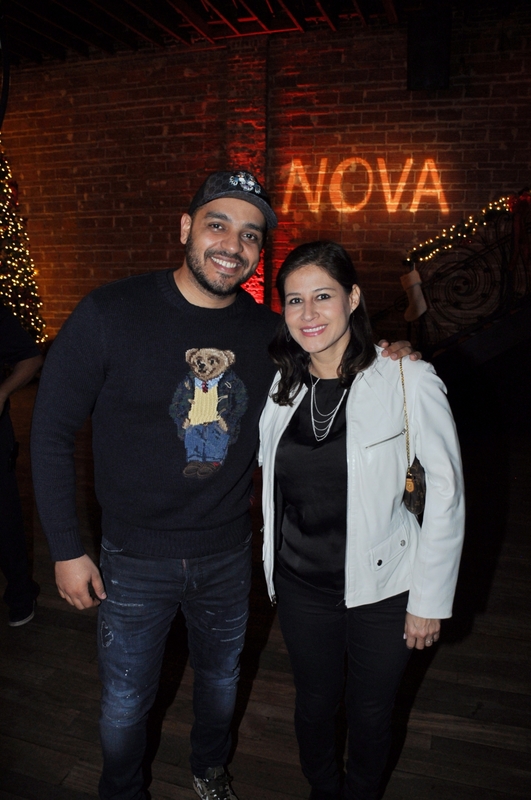 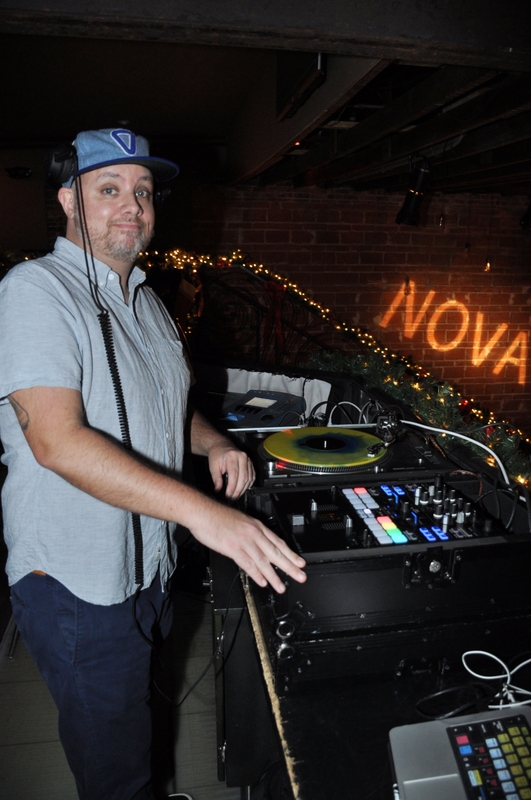 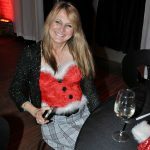 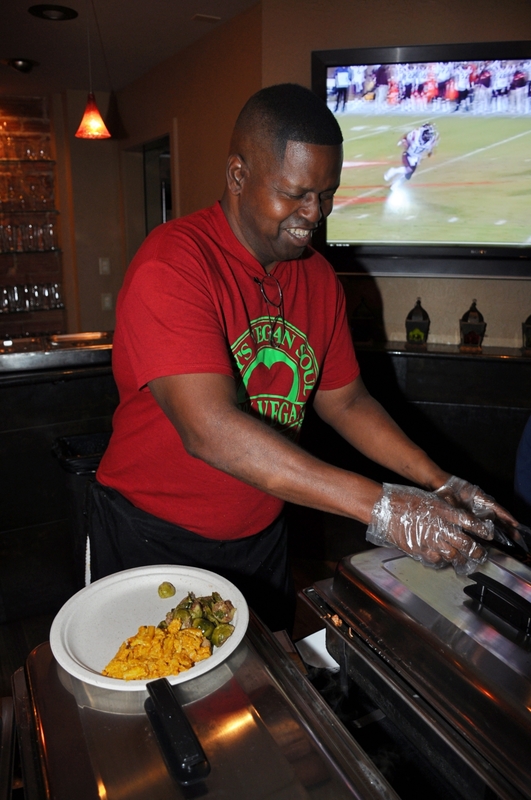 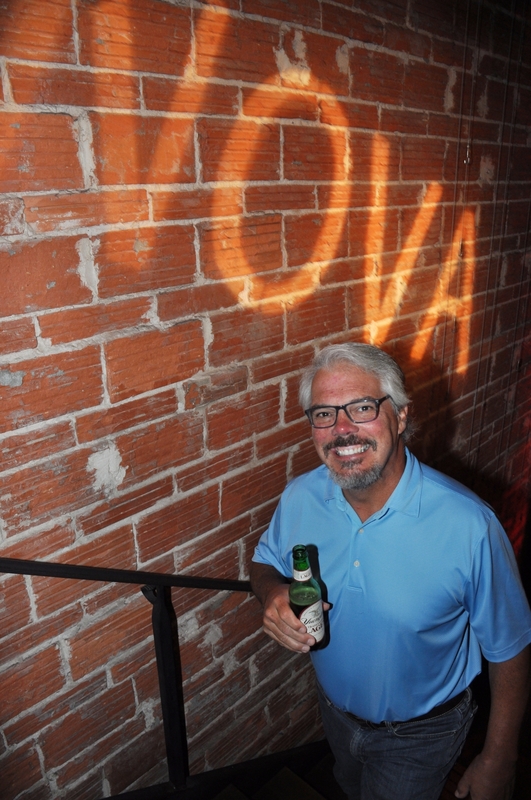 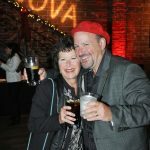 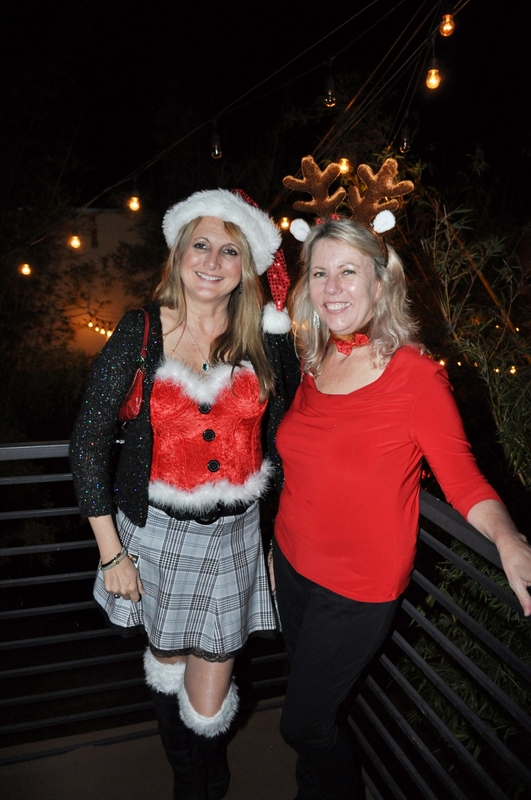 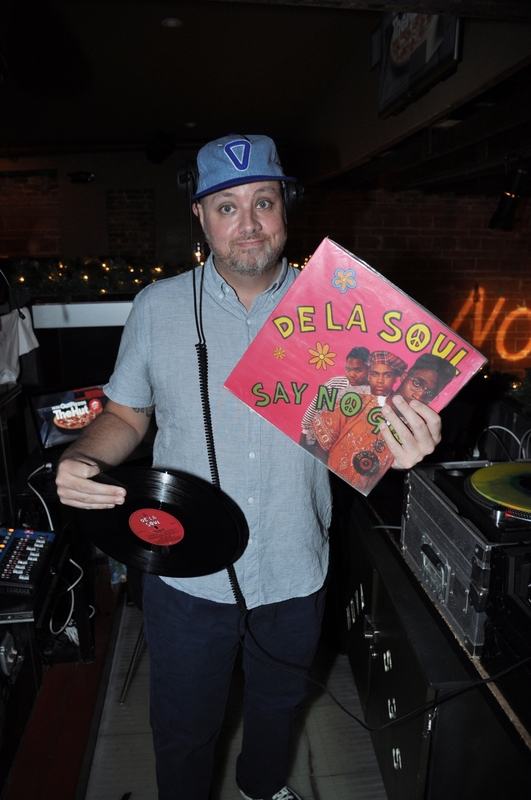 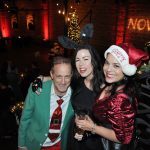 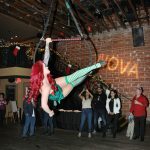 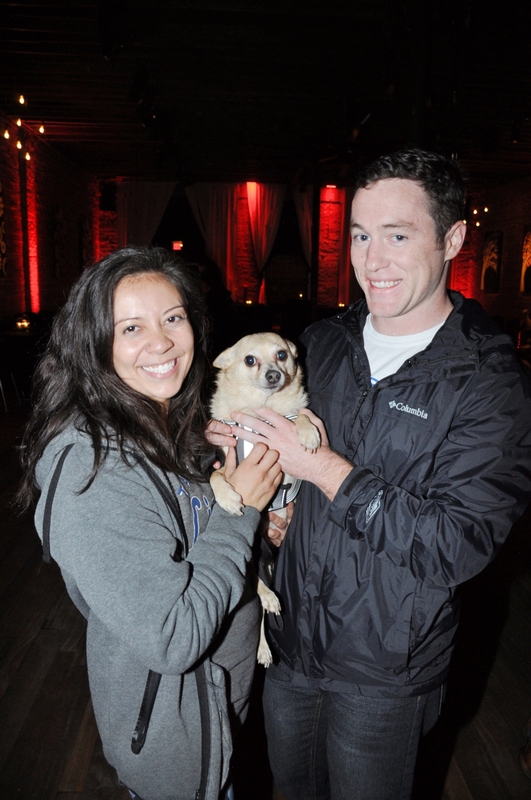 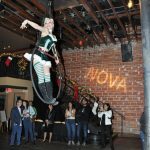 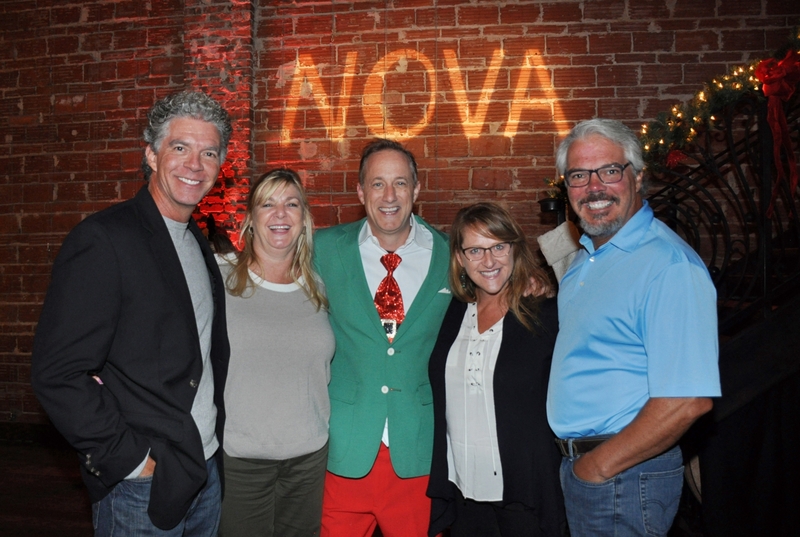 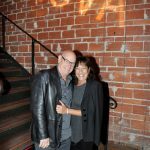 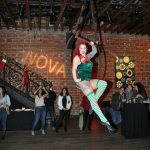 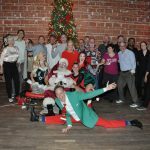 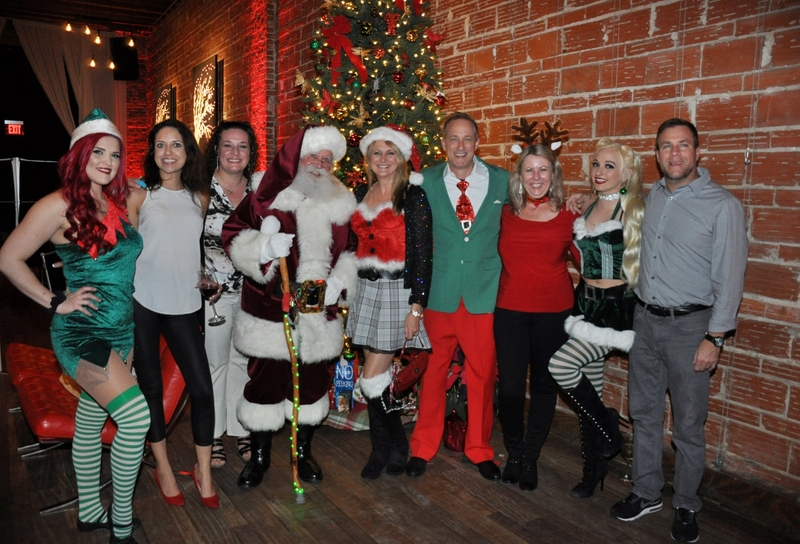 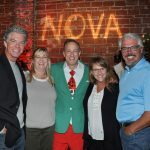 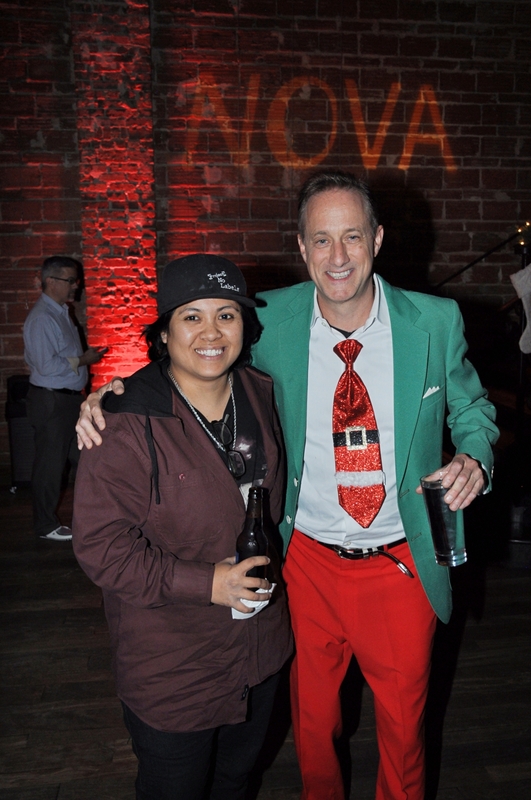 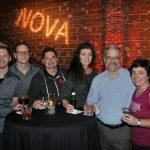 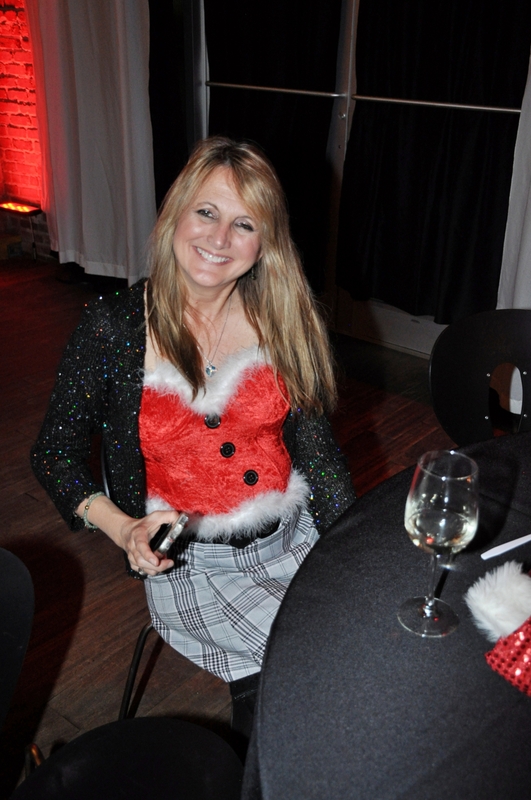 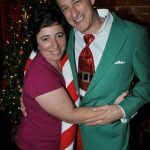 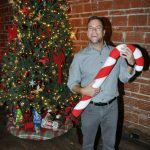 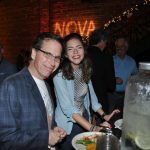 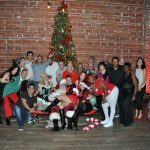 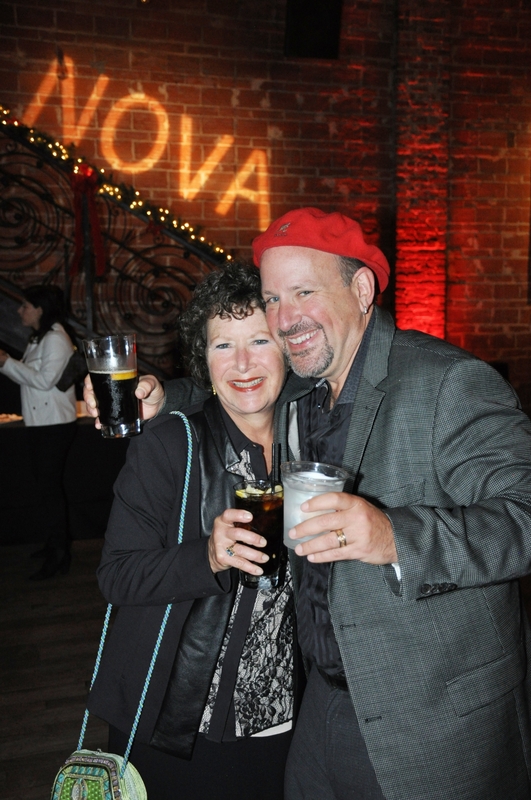 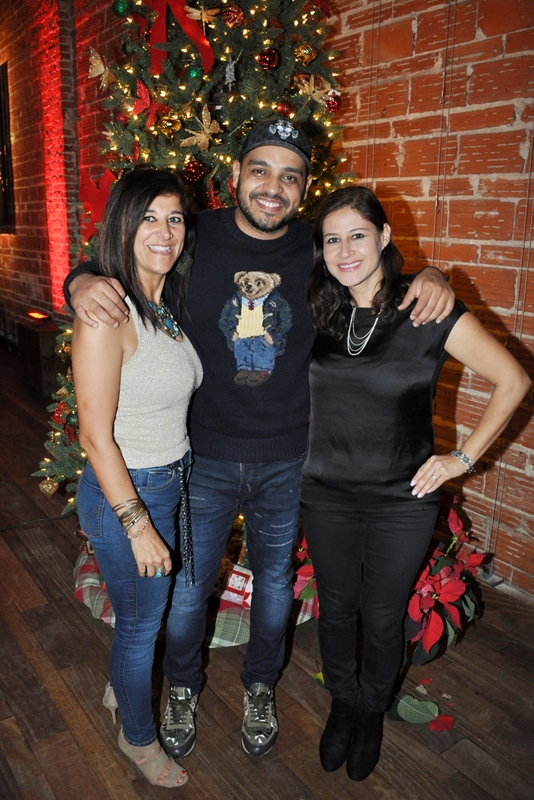 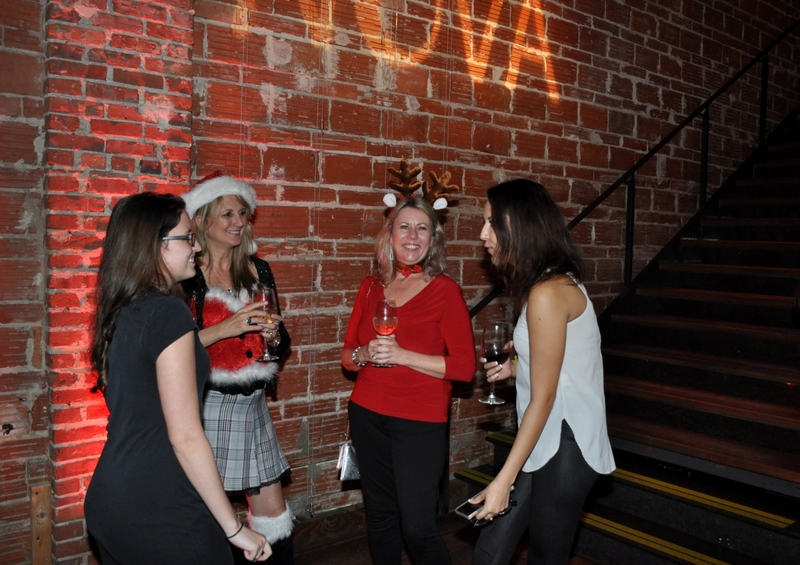 Here are ALL the photos from NOVA Noel 10, please share and enjoy!! 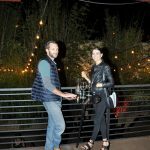 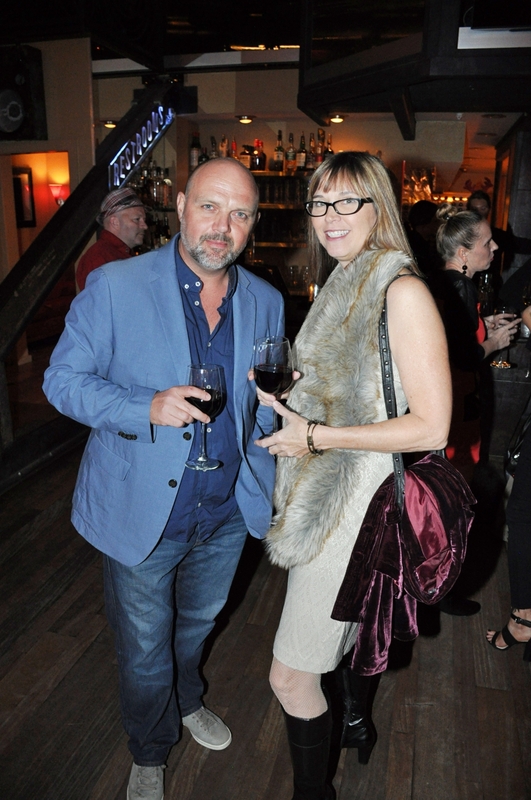 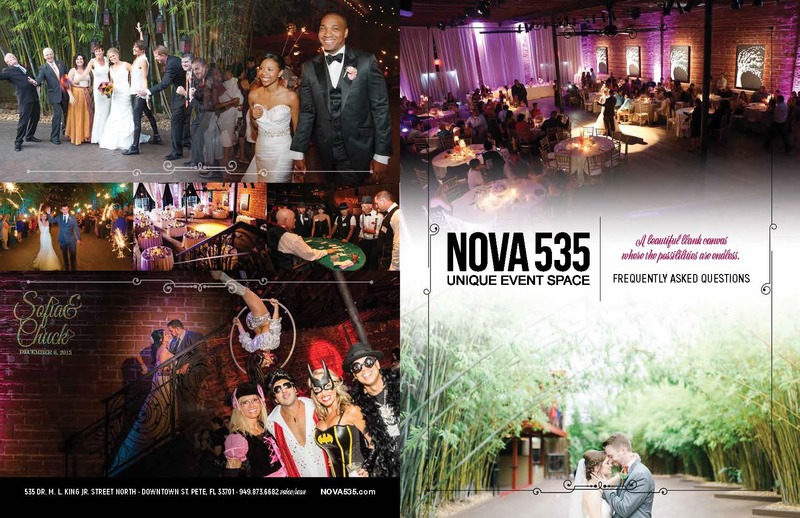 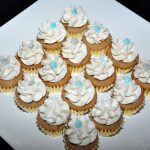 Please keep NOVA 535 Unique Event Space in mind for weddings, receptions, film shoots, corporate parties and events! 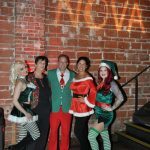 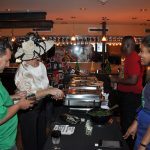 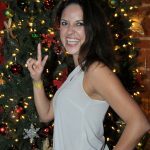 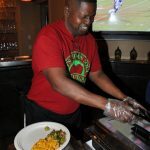 We are the best rated venue in Tampa / St. Pete because we LOVE hosting events just how you want, all done 5-Star, The NOVA Way!